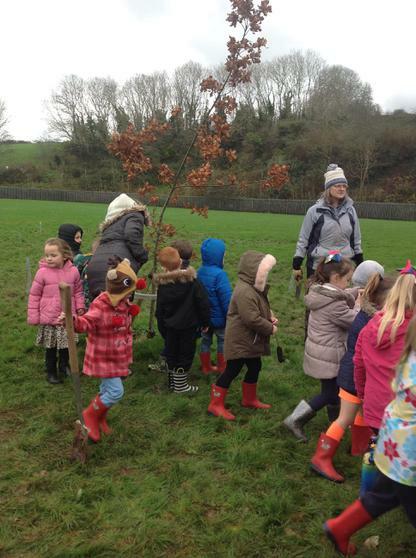 Congratulations to all the children in PDCS who have achieved the Green Tree Gold Award. 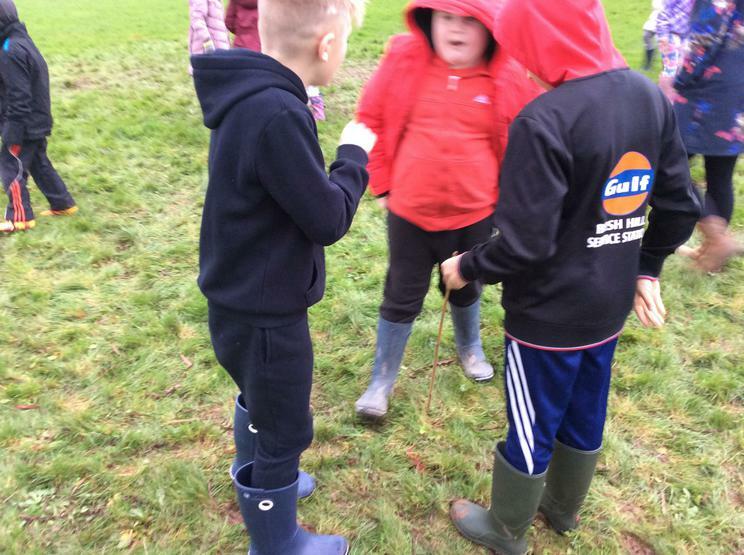 Next step Platinum! 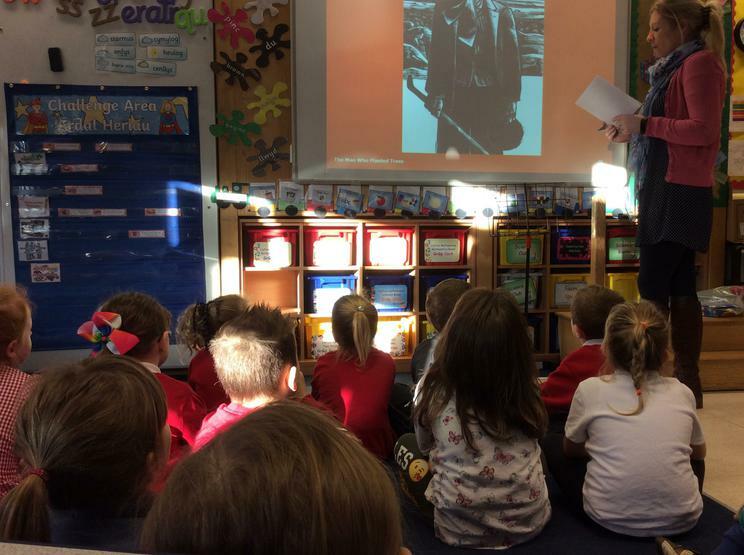 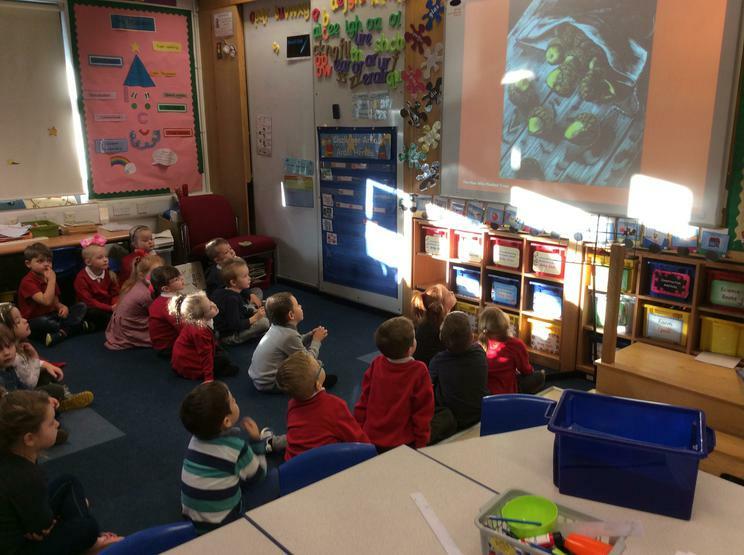 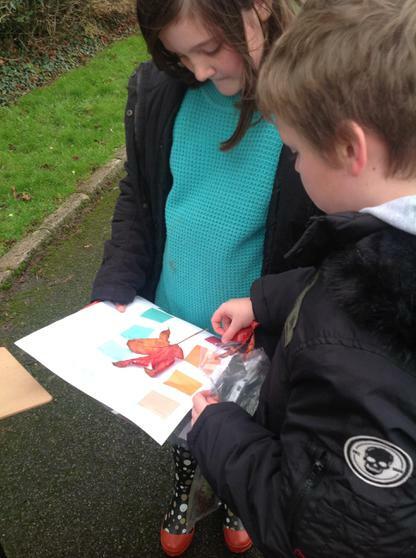 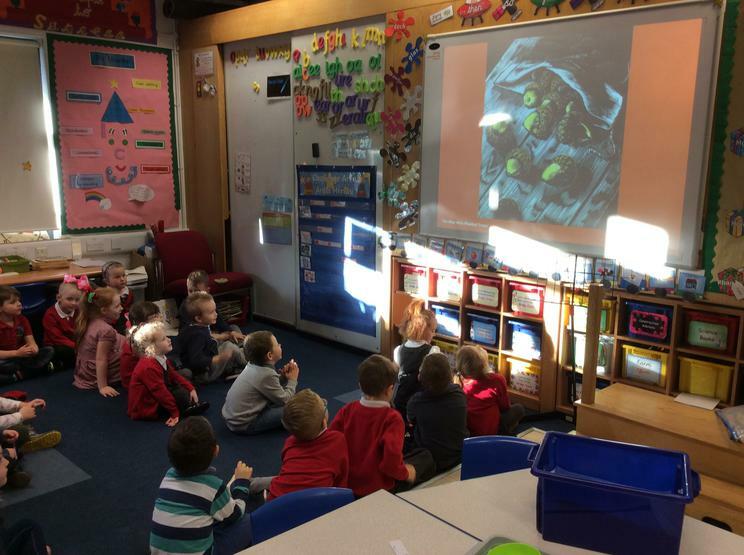 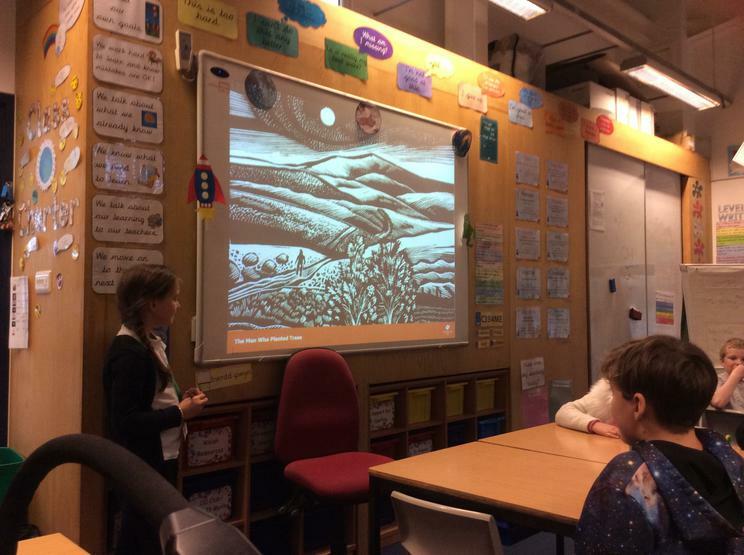 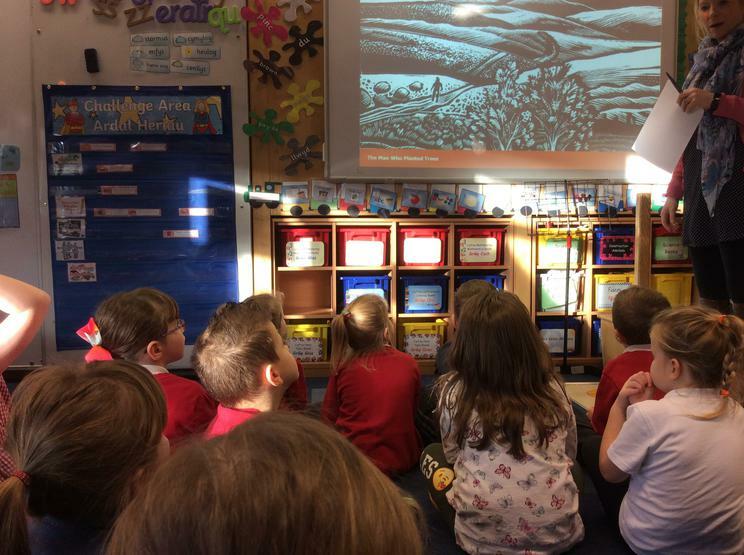 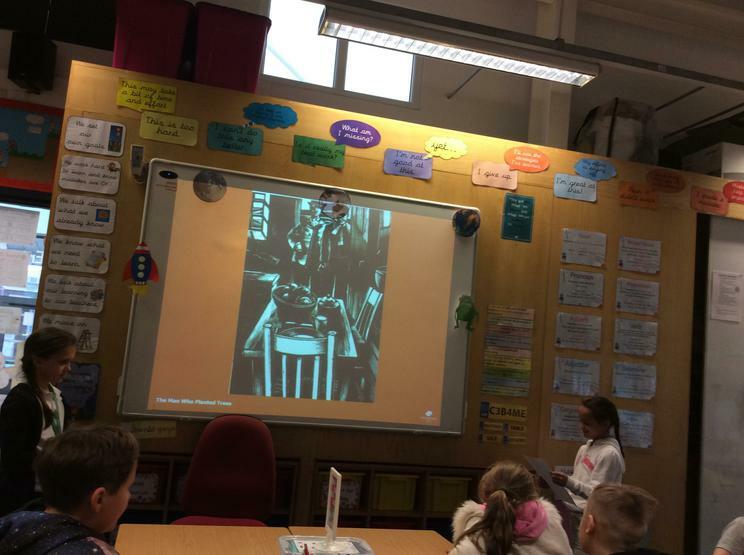 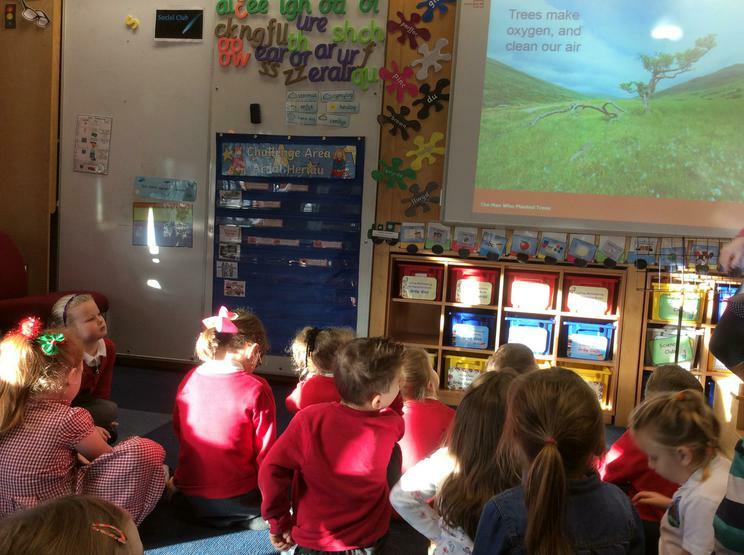 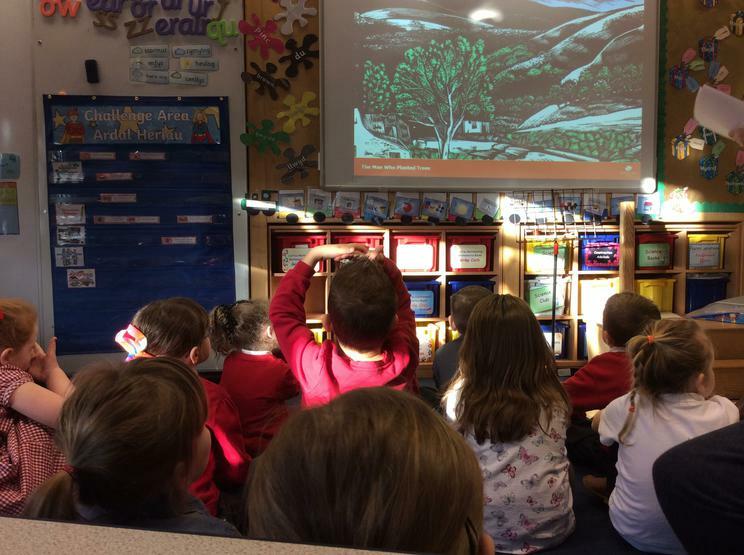 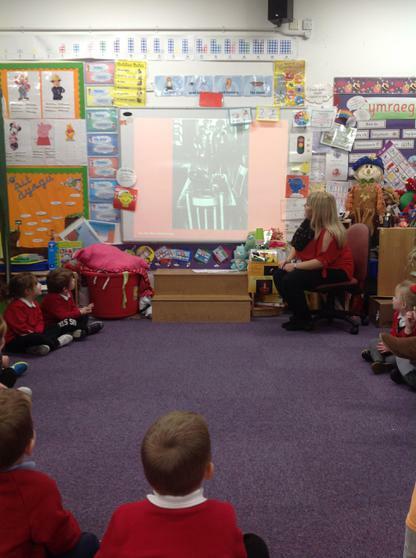 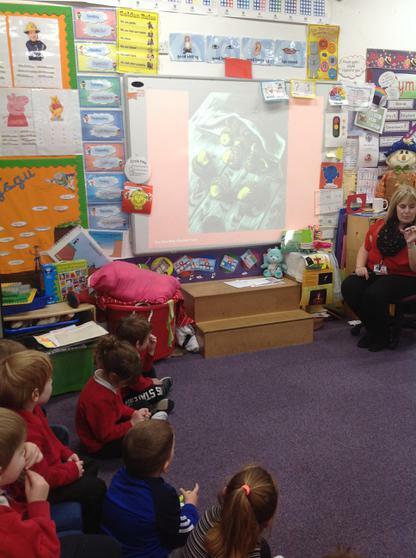 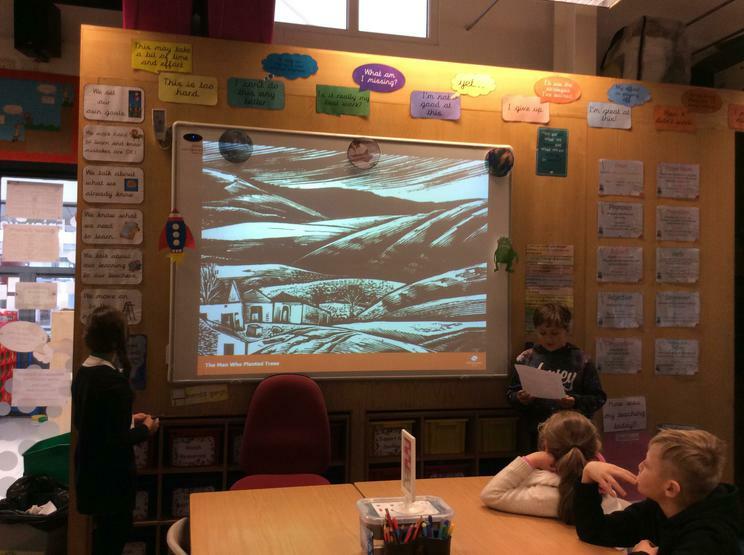 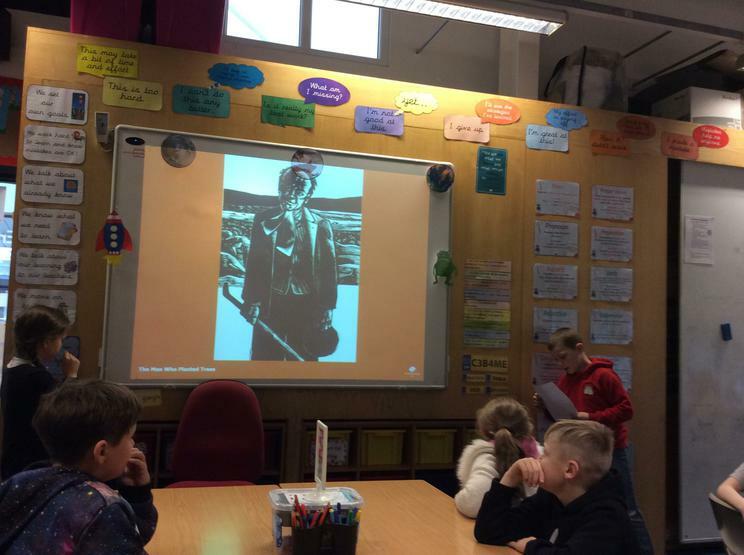 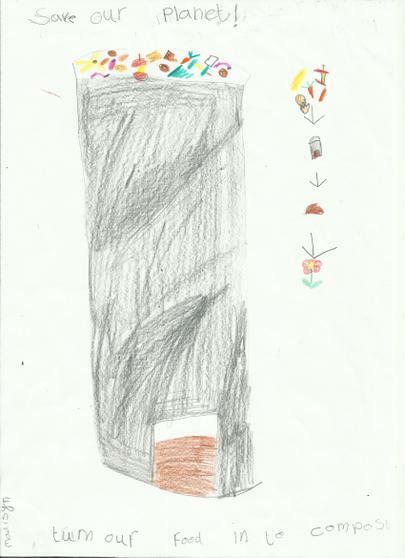 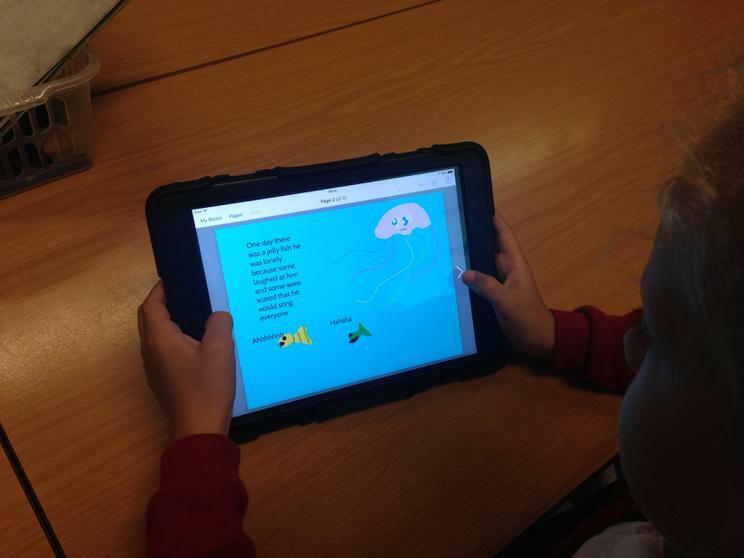 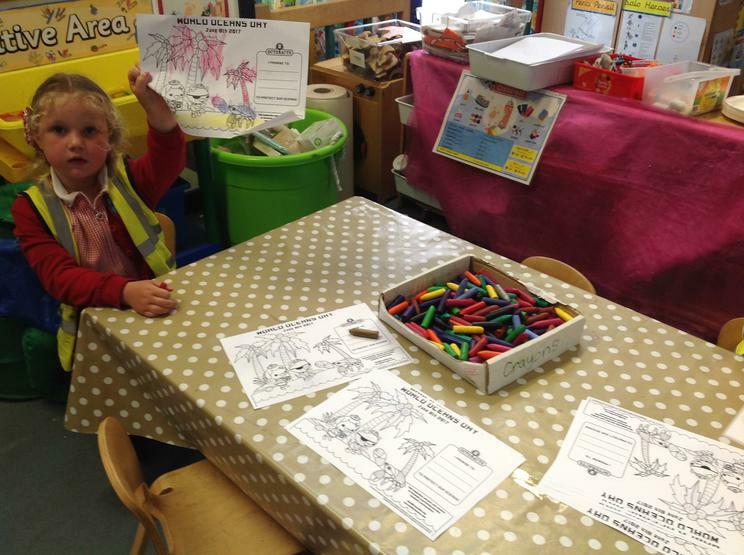 As a school we have looked at the story of 'A man who planted trees'. 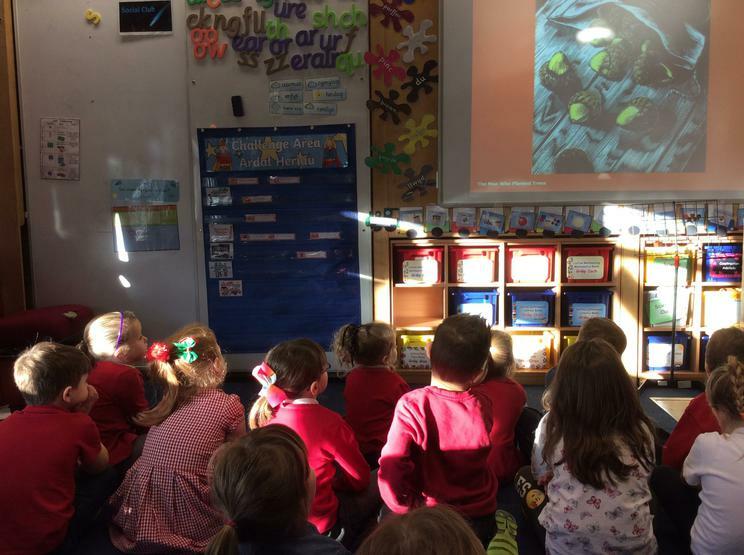 We enjoyed the many discussions that followed. 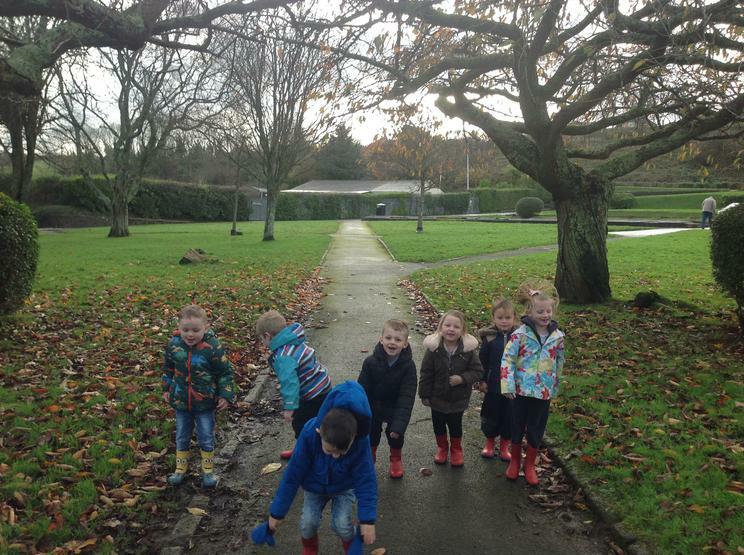 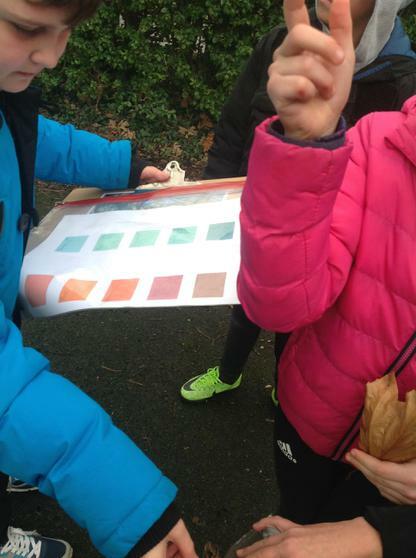 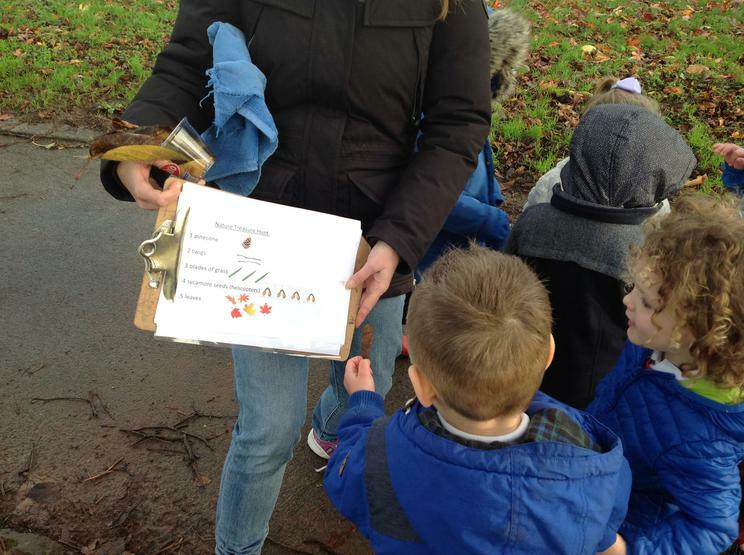 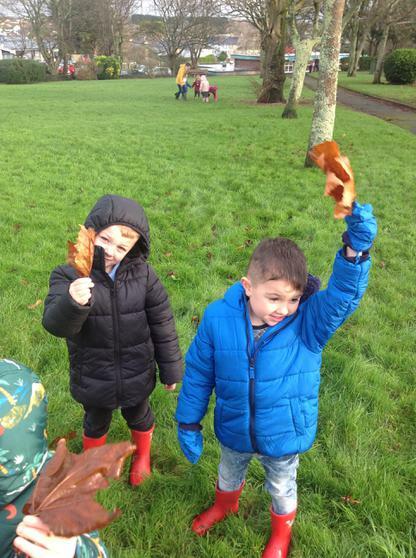 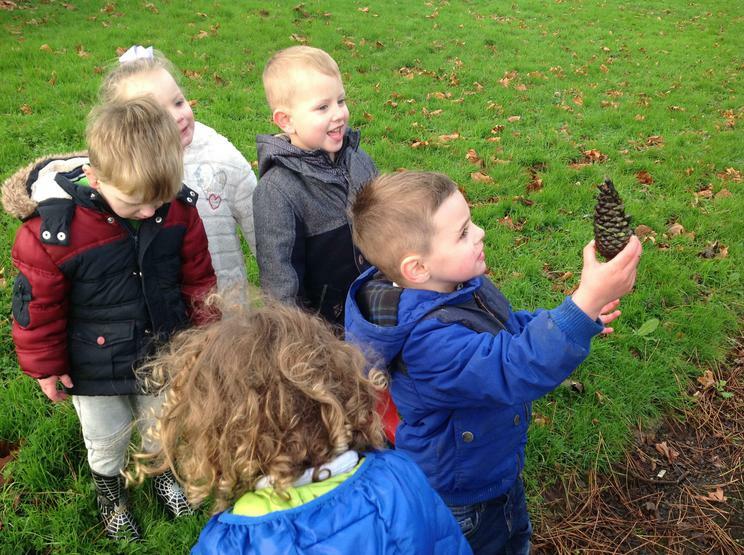 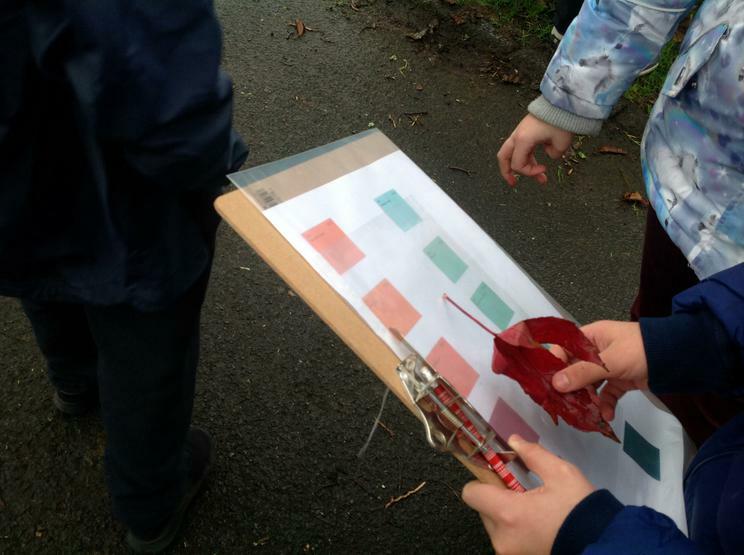 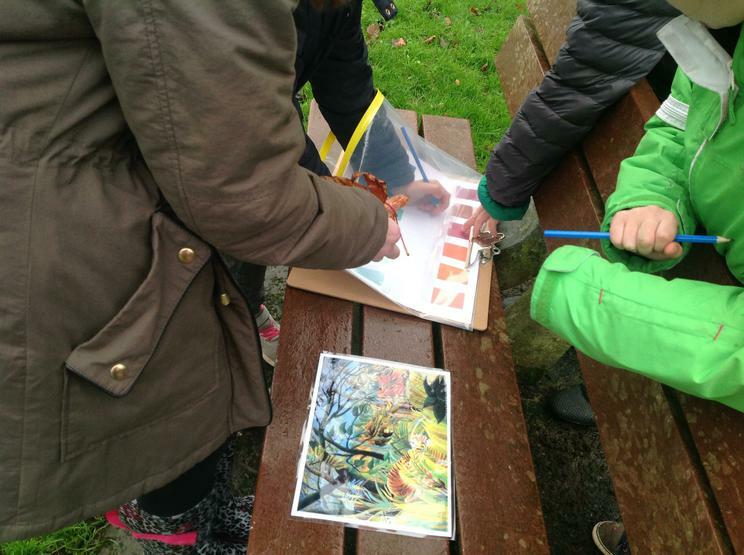 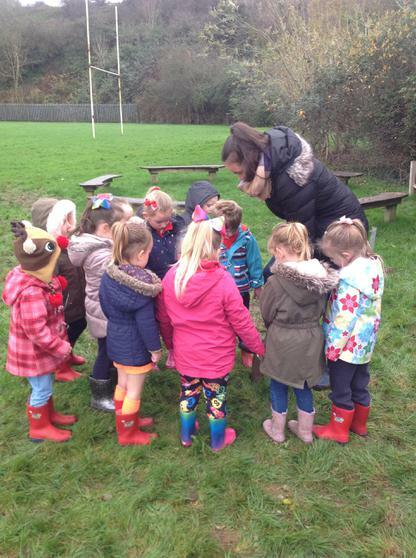 As a school we enjoying getting outdoors and completing a variety of activities. 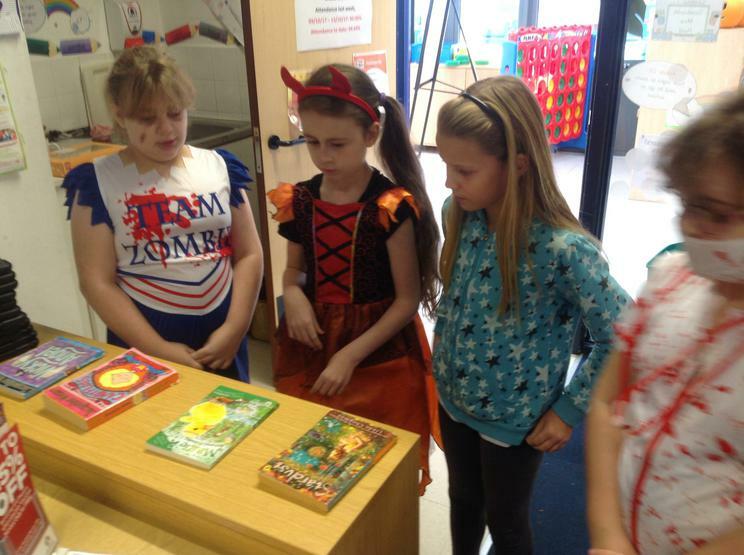 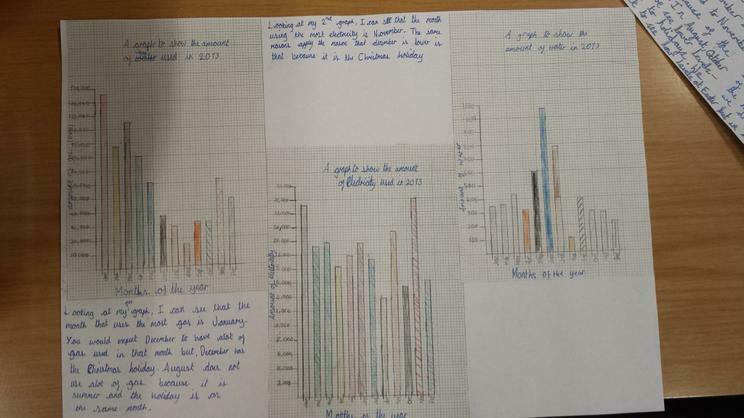 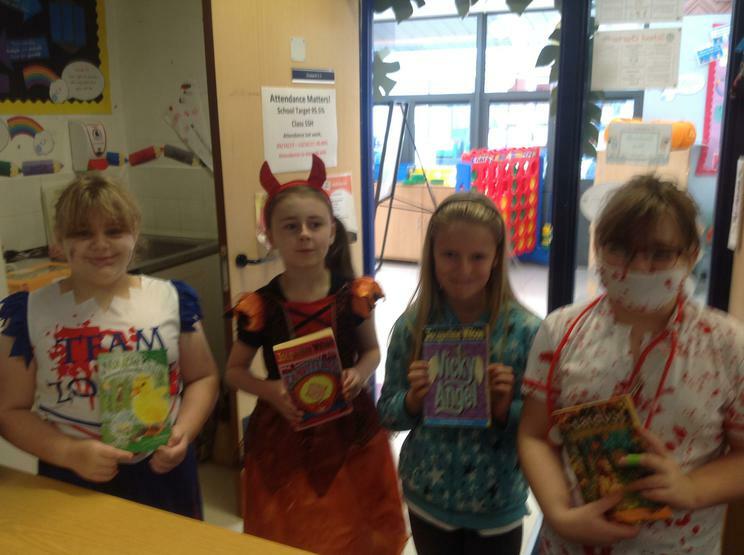 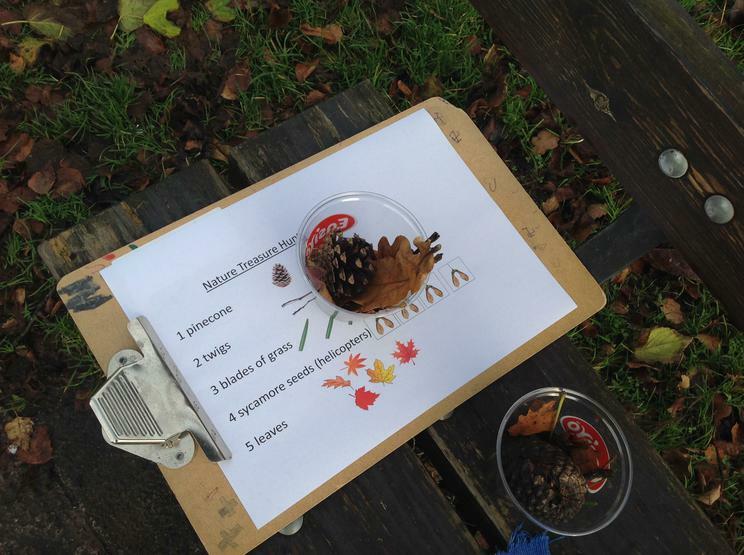 Here is just a small selection of the activities that took place during November. 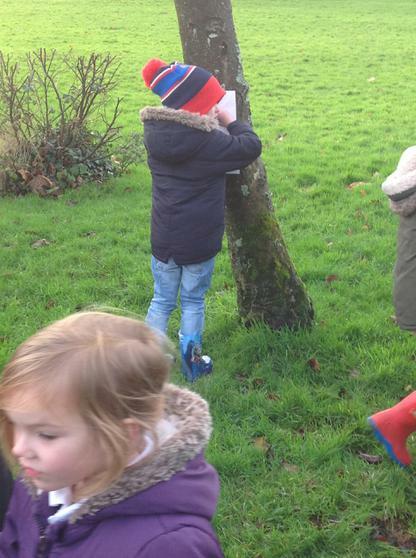 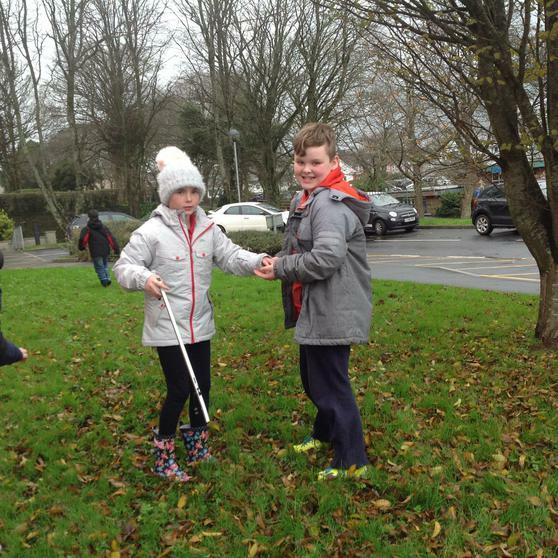 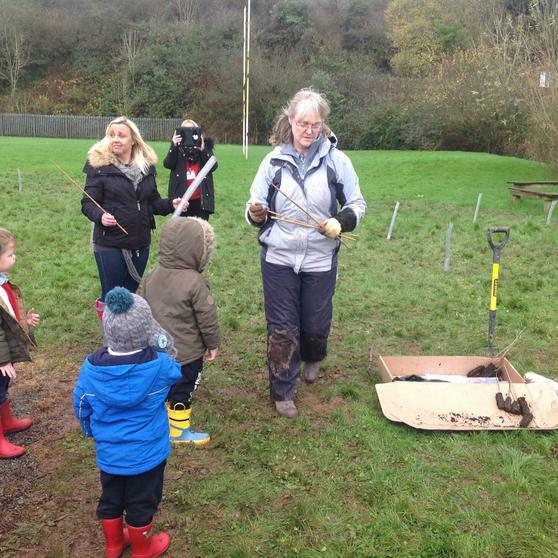 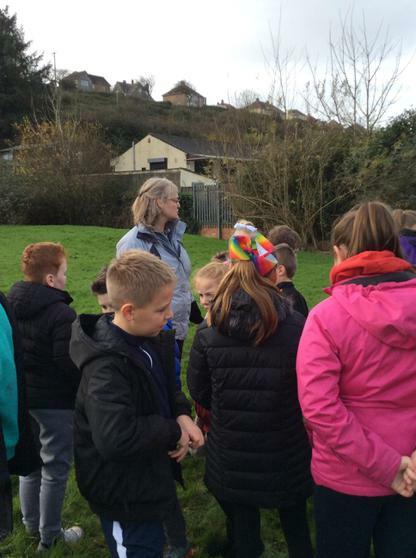 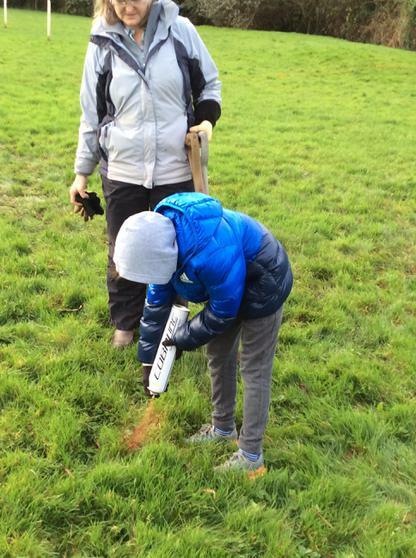 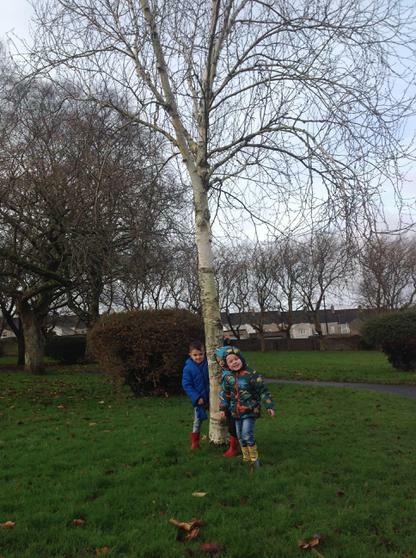 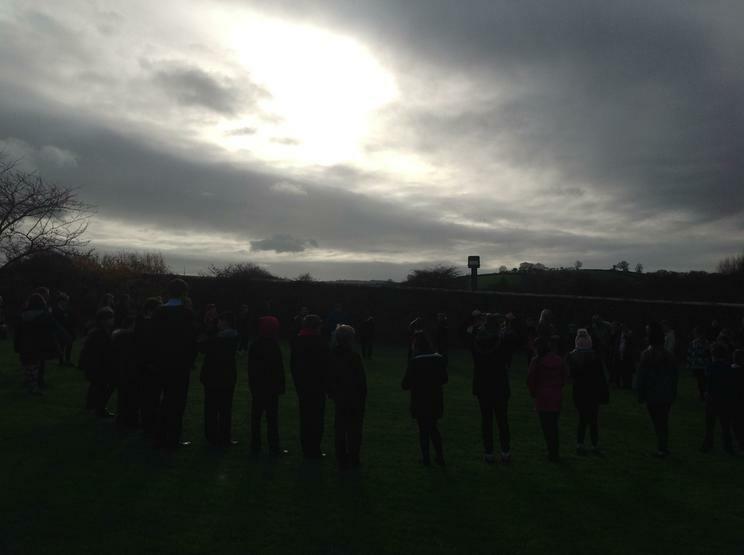 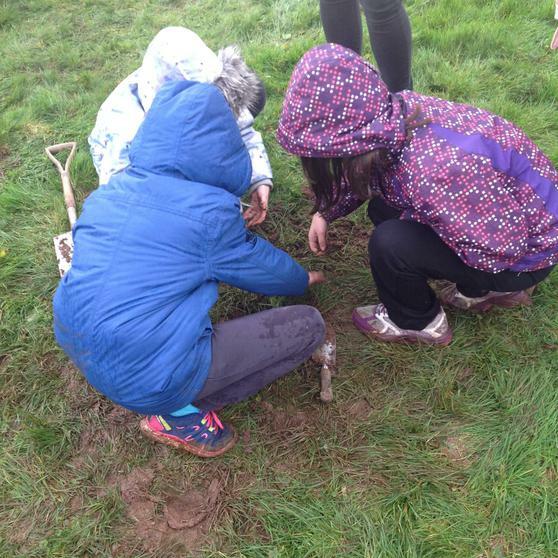 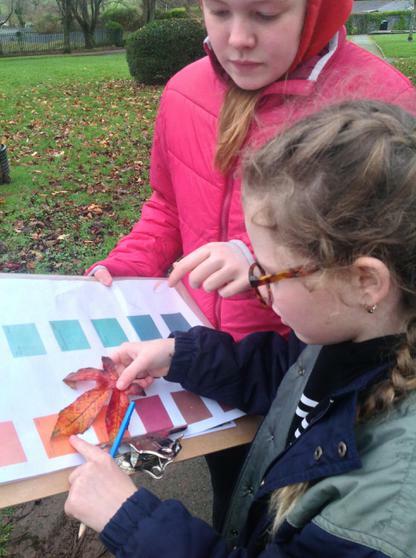 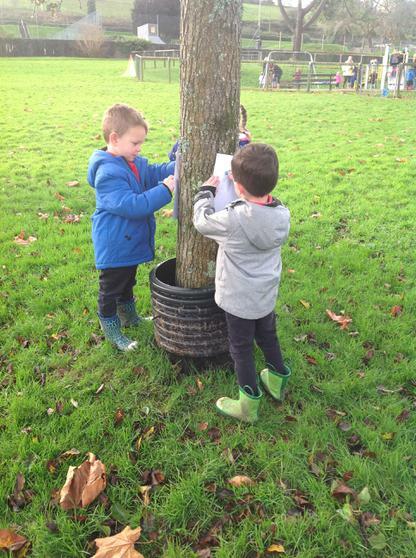 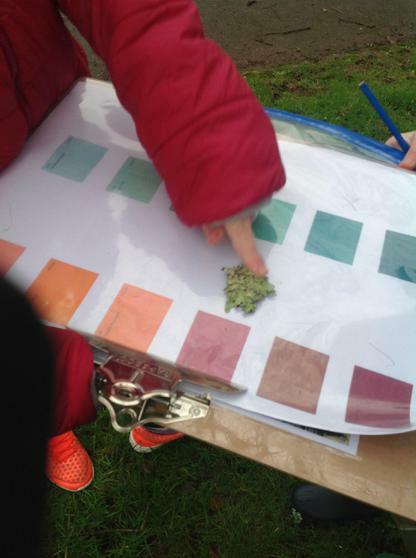 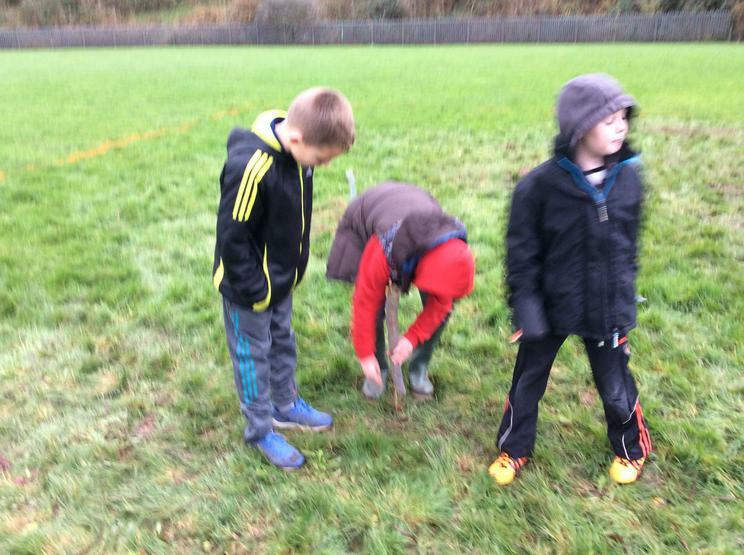 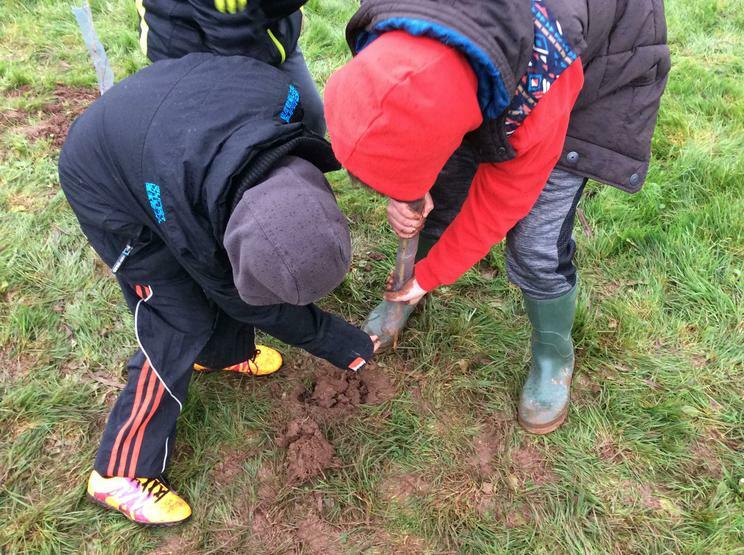 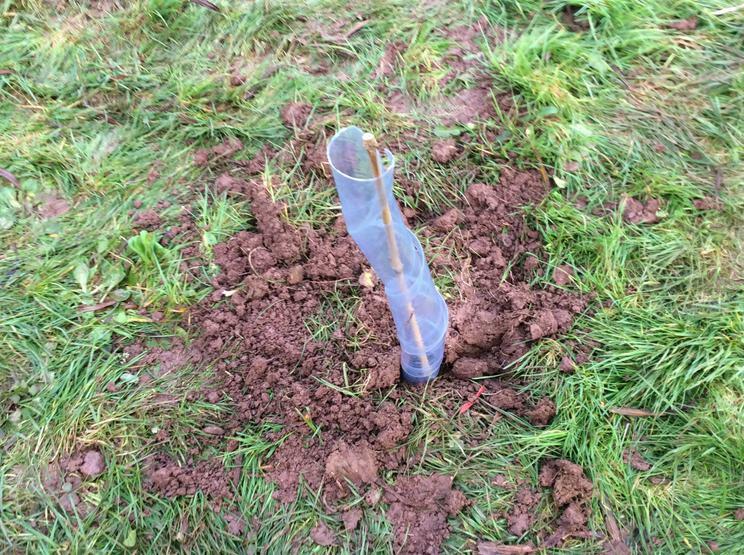 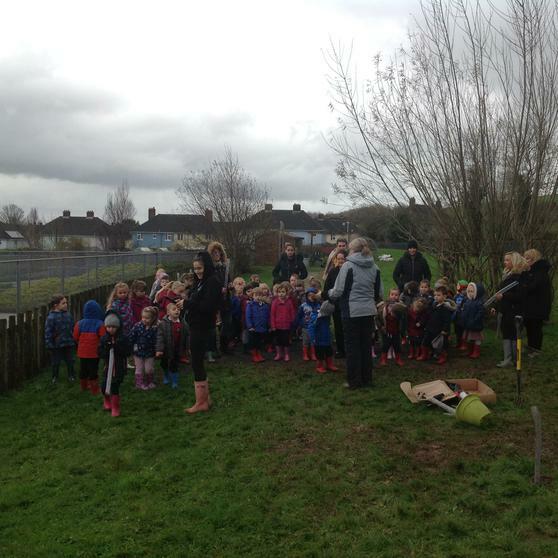 On November 27th the whole school took part in a 'Tree Planting Day' thanks to the Woodland Trust. 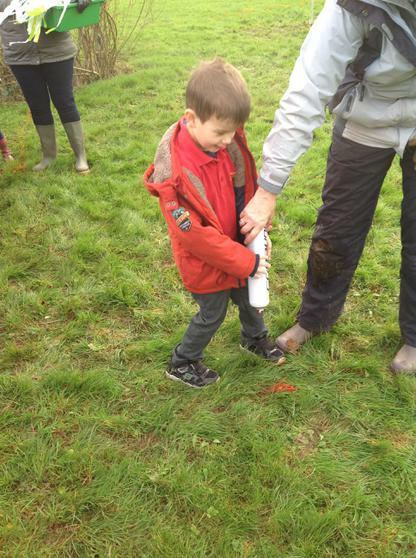 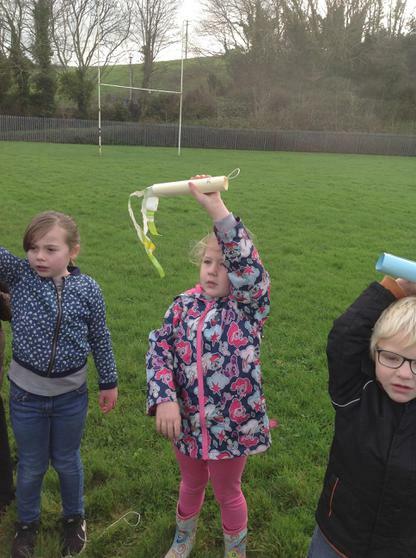 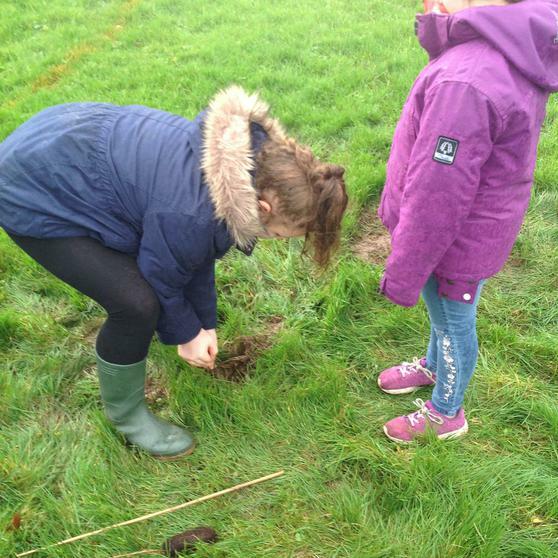 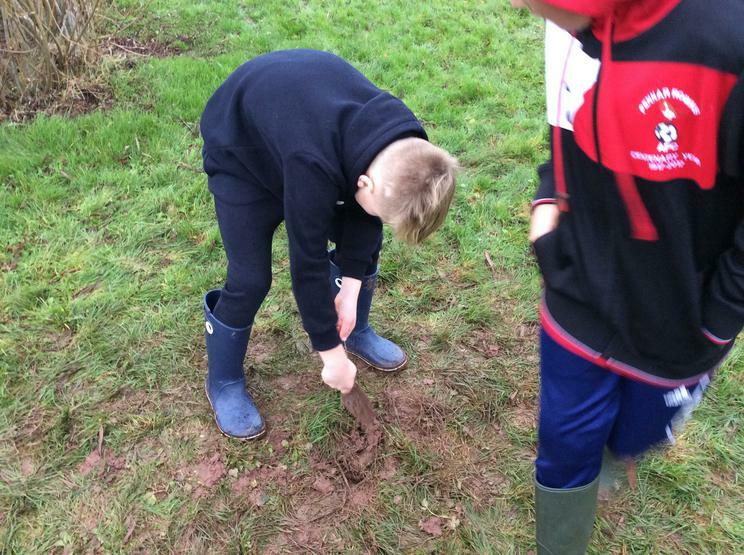 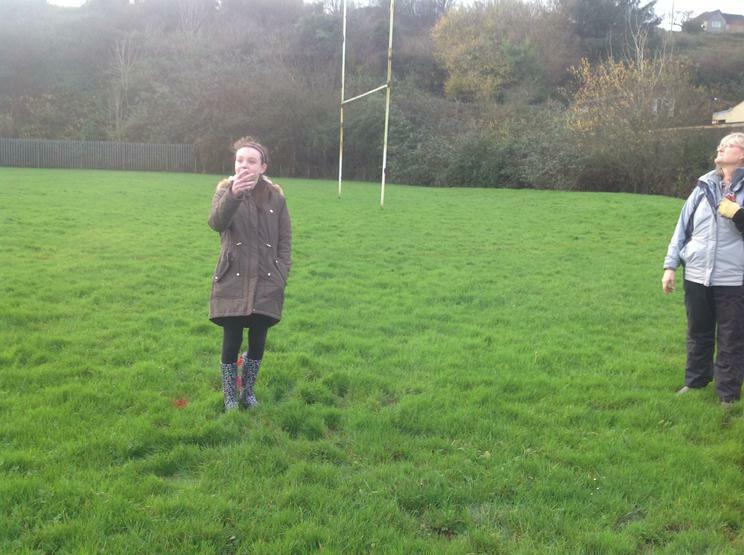 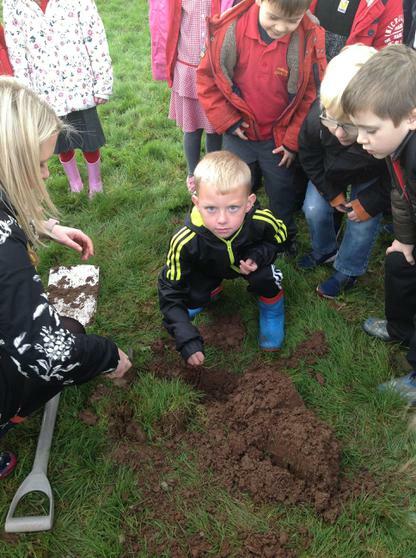 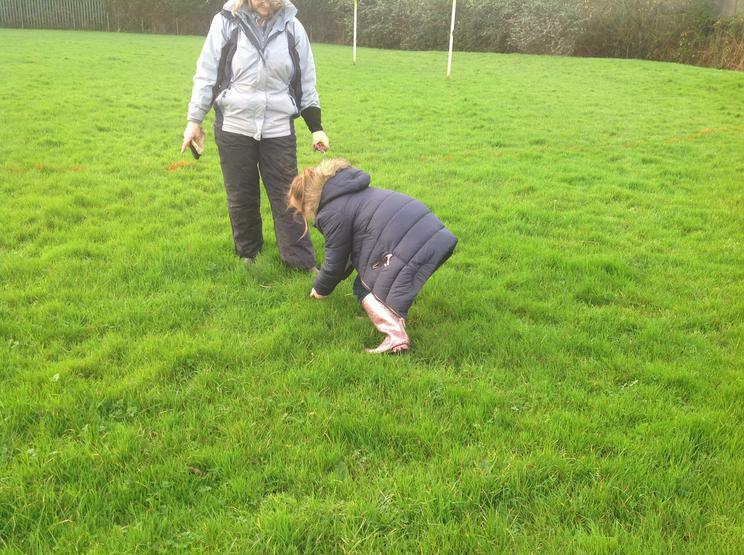 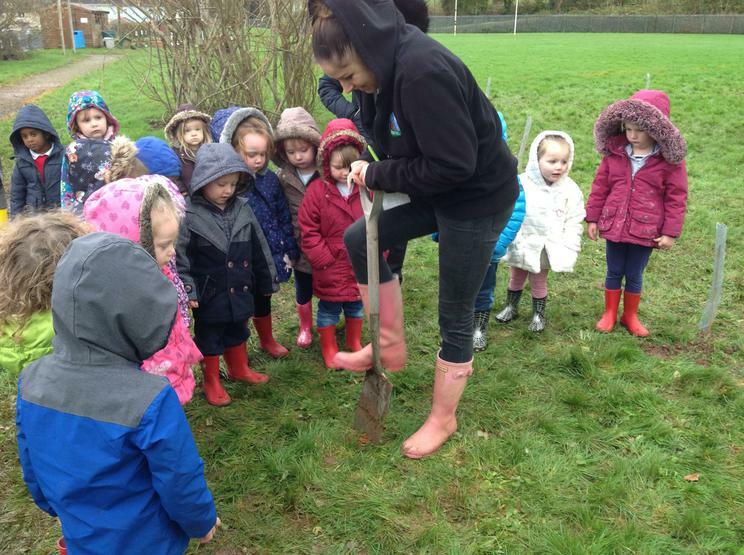 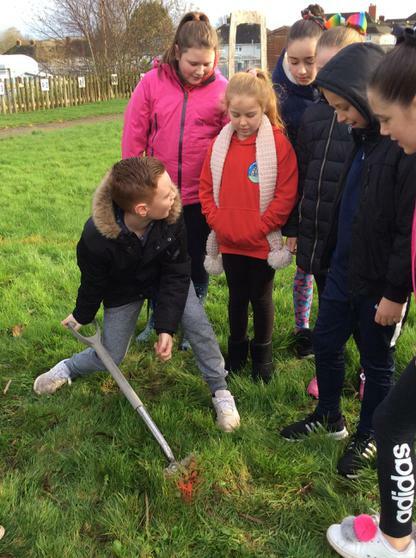 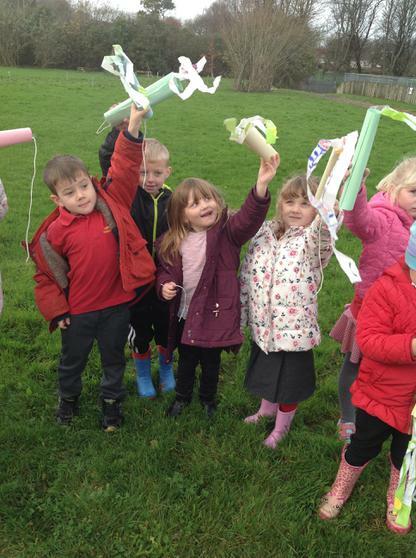 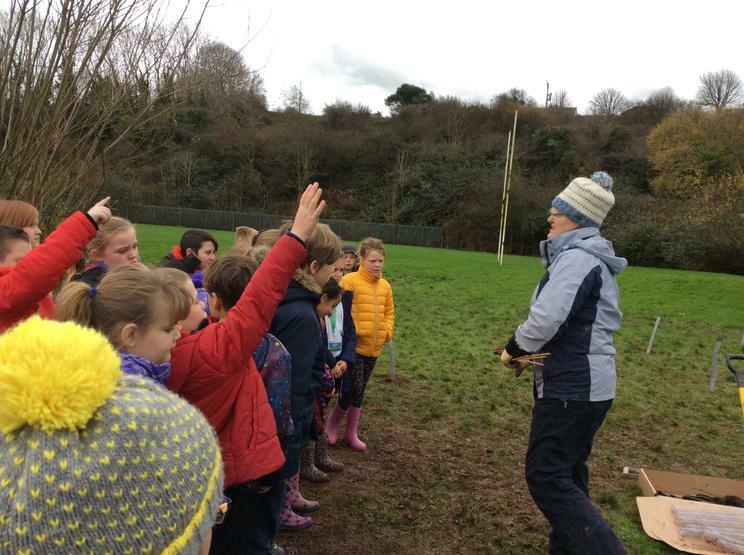 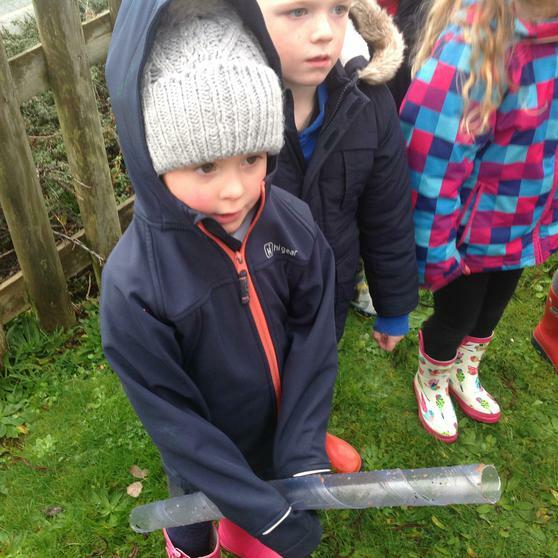 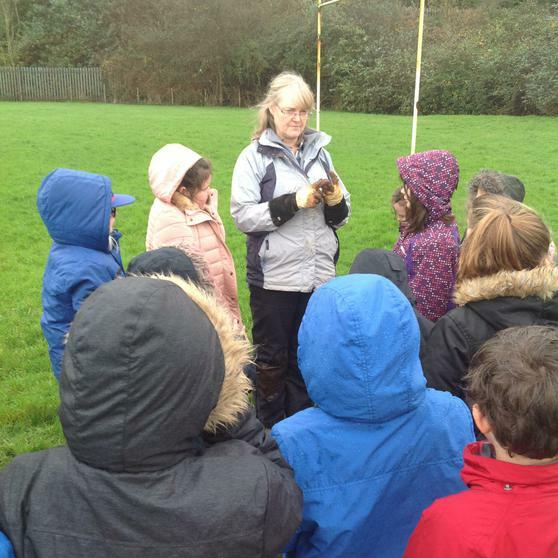 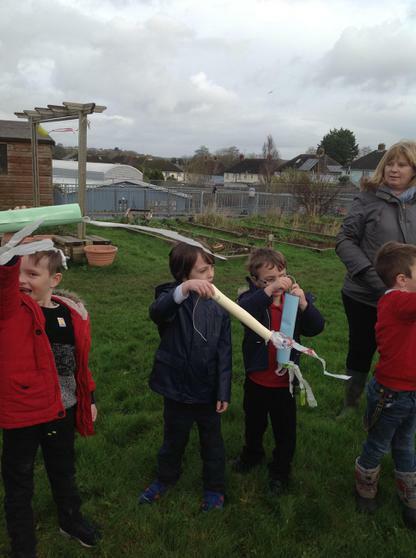 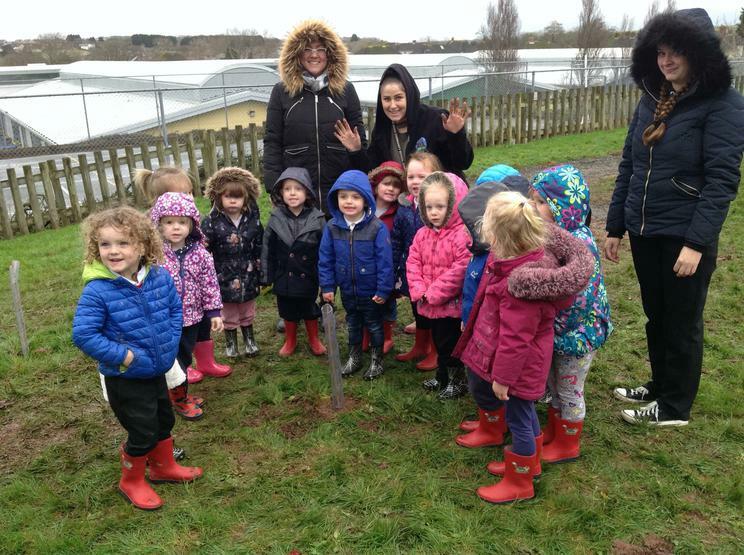 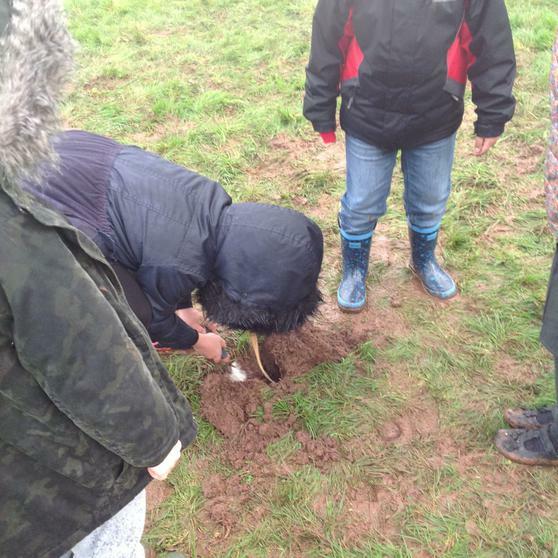 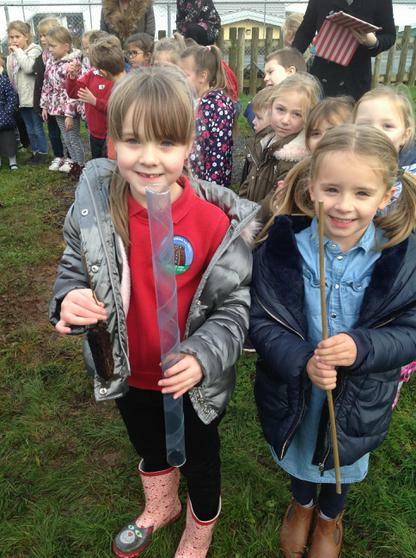 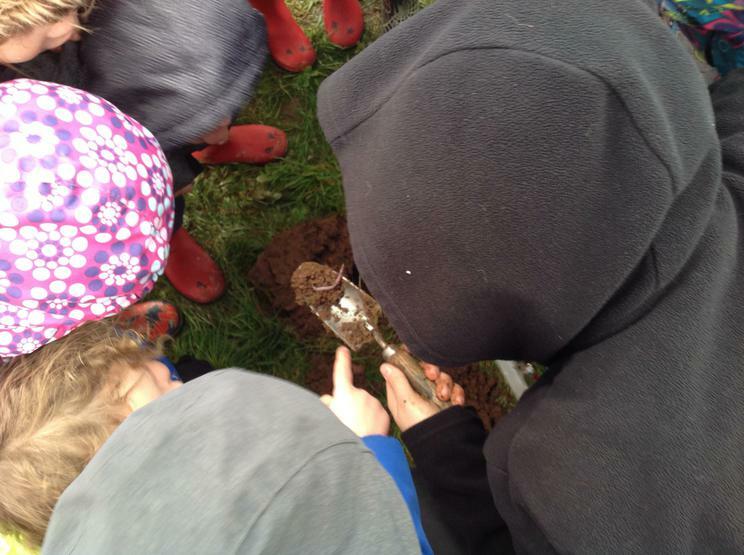 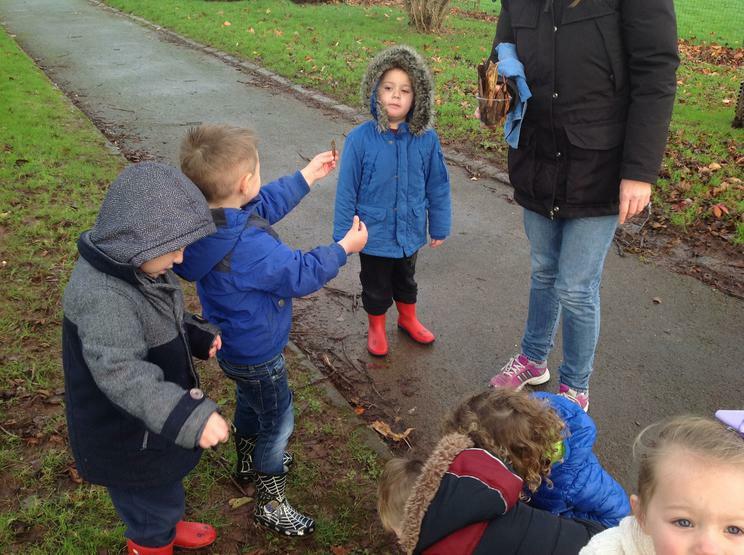 Each class planted a sapling on the field with the help of Mrs Hughes. 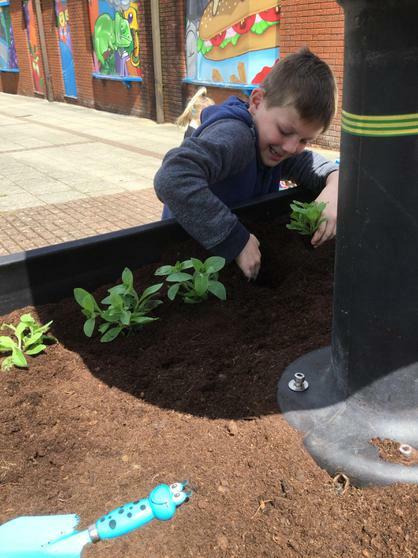 We are looking forward to seeing these grow over the following months/years. 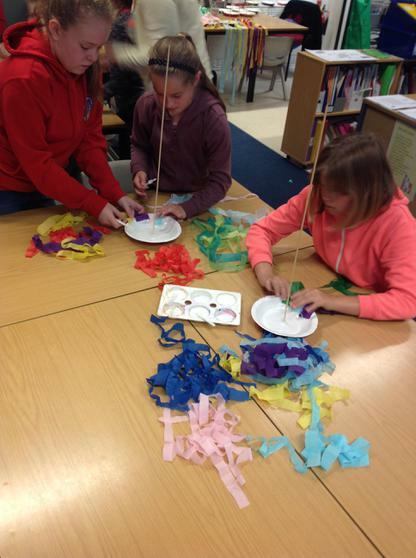 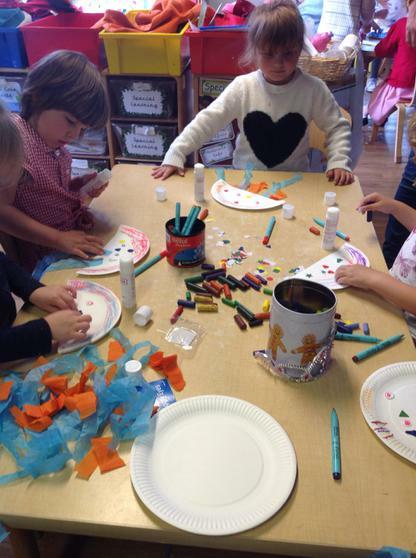 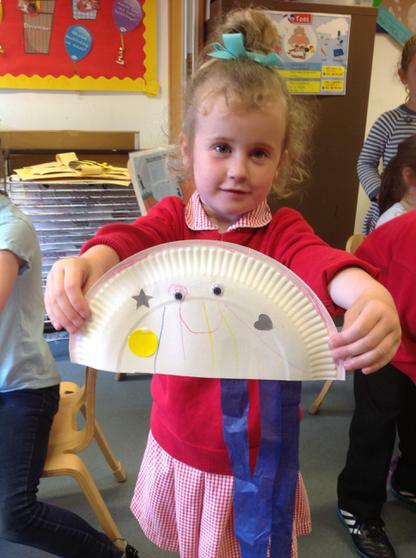 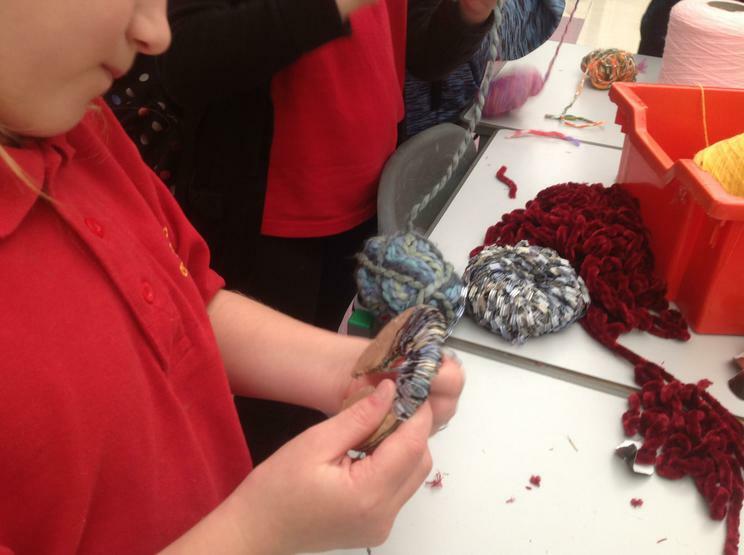 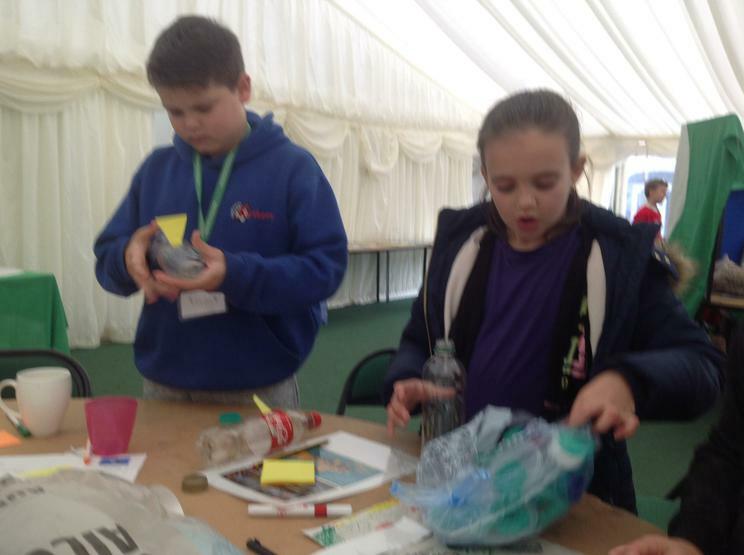 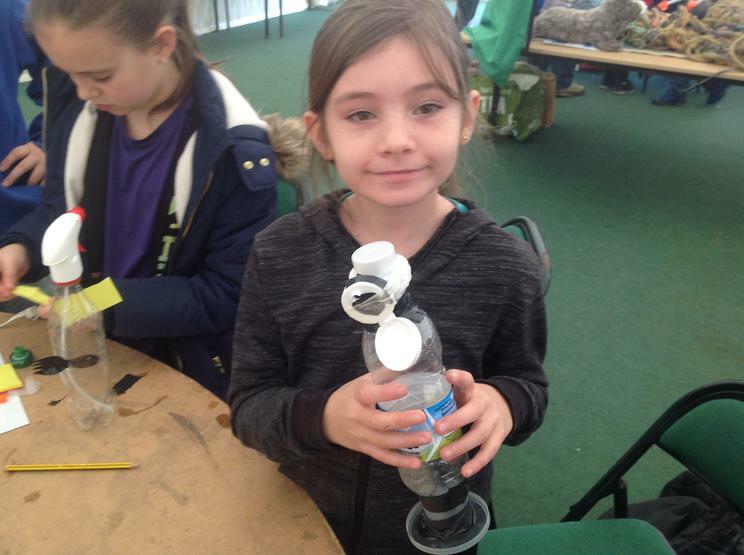 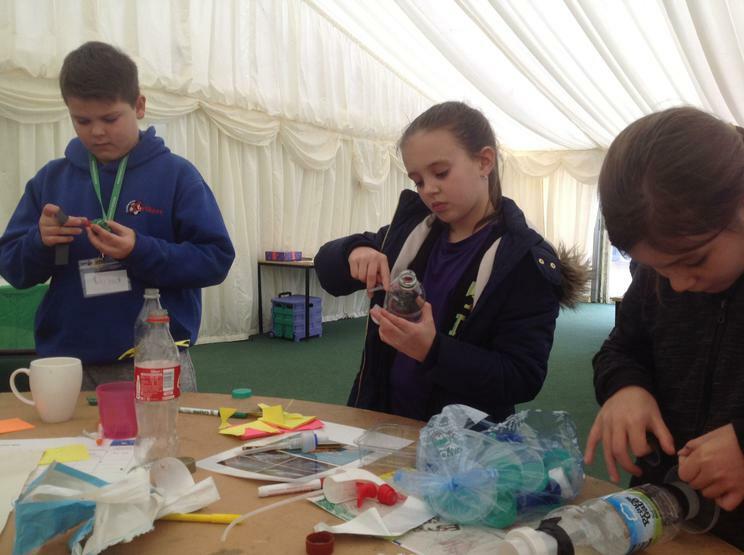 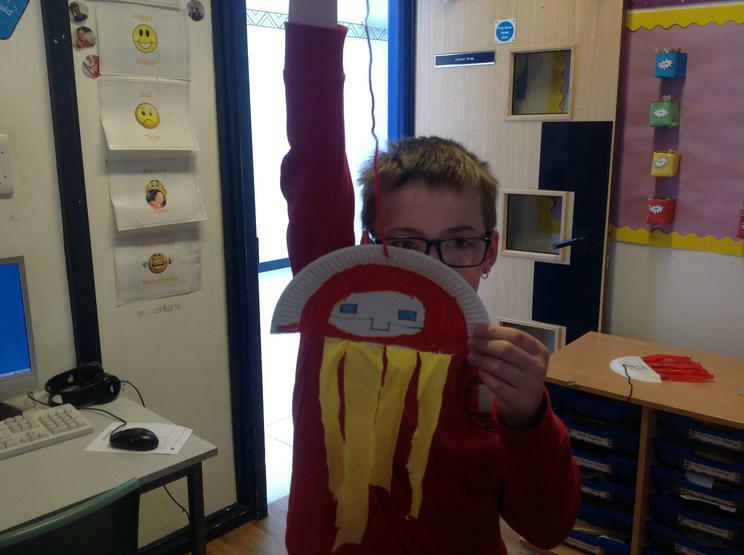 We have entered a competition to create recycled Christmas decorations. 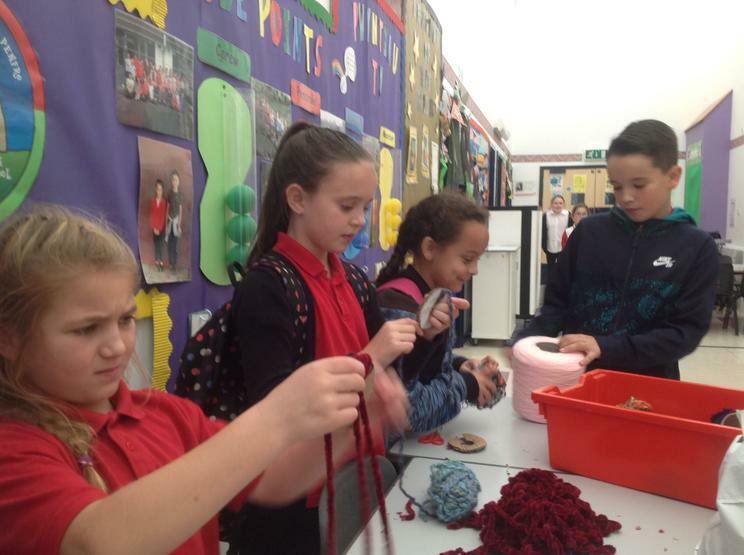 We have decided on producing pom poms. 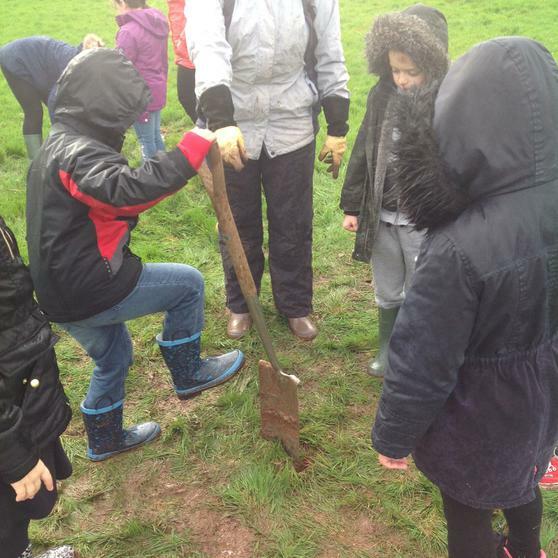 We made a start this week. 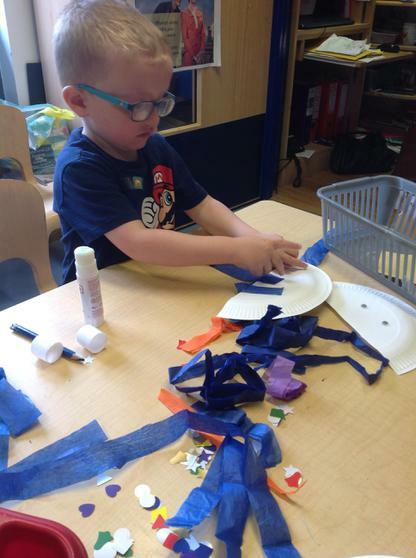 Keep posted on our progress here! 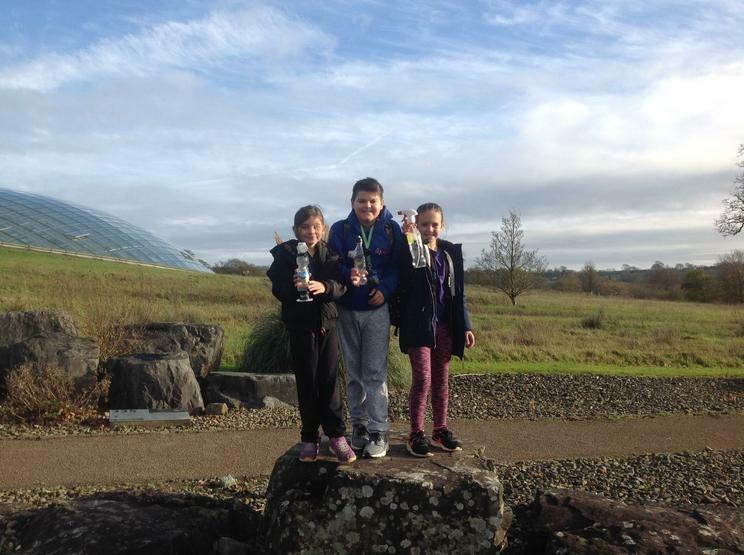 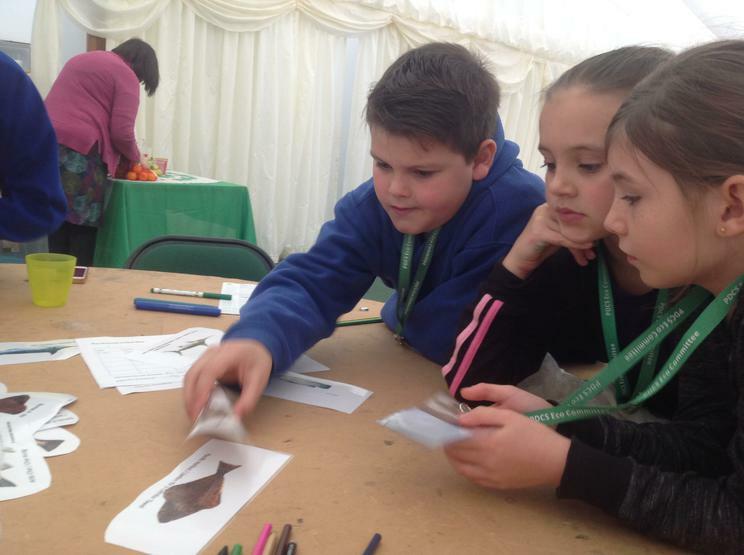 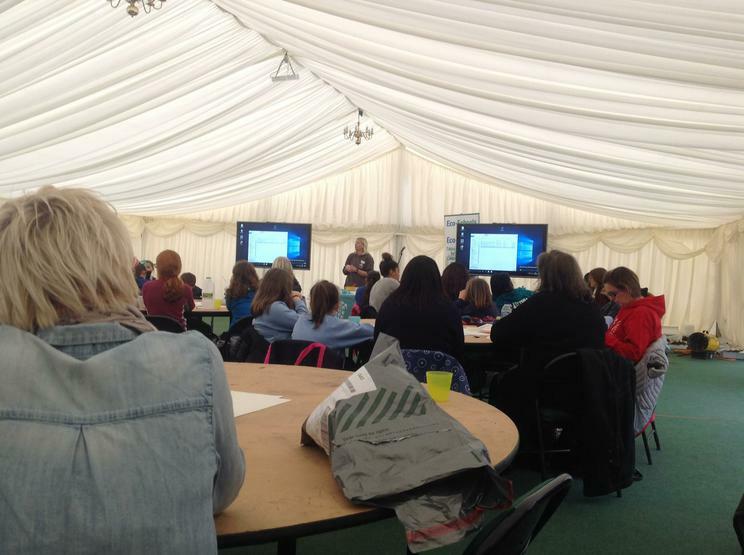 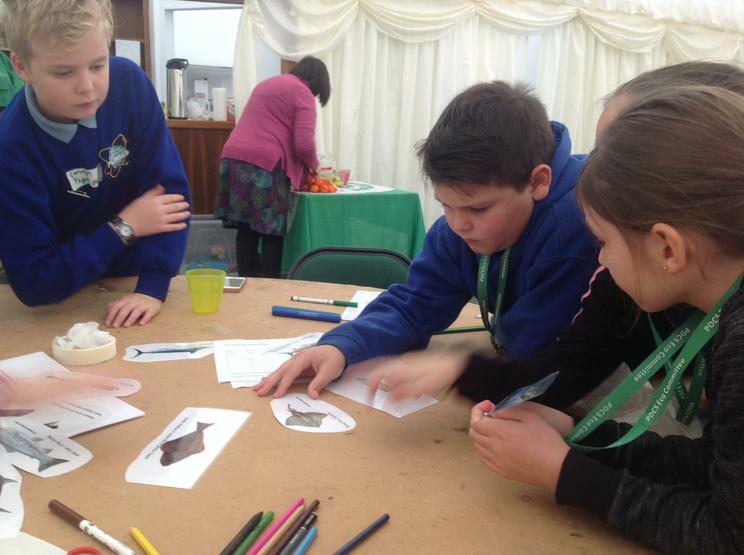 Representatives from the Eco Committee attended the National Eco Committee at the National Botanical Gardens to discuss Global Goals. 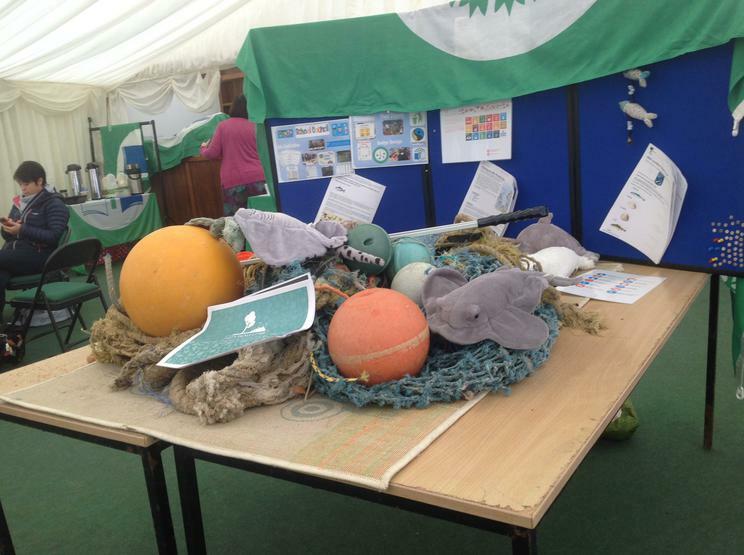 They focused on Global Goal 14 'Conserve and sustainably use the oceans, seas and marine resources for sustainable development'. 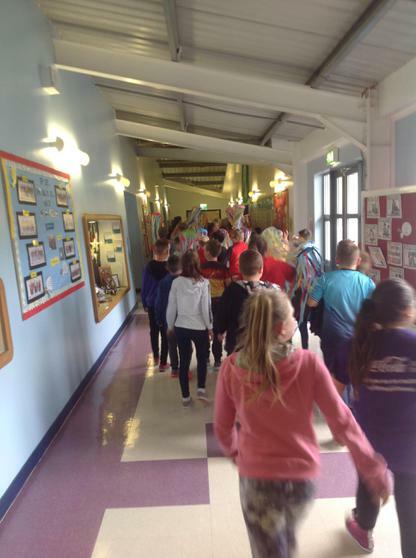 A massive well done to PDCS for all their hard work this term. 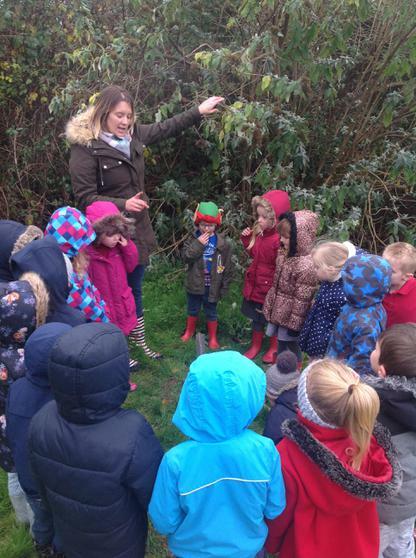 We have achieved our Silver award with the Woodland Trust. 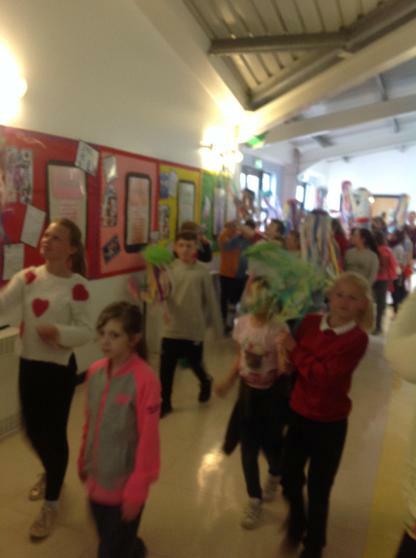 We will keep you posted on our journey to Gold! 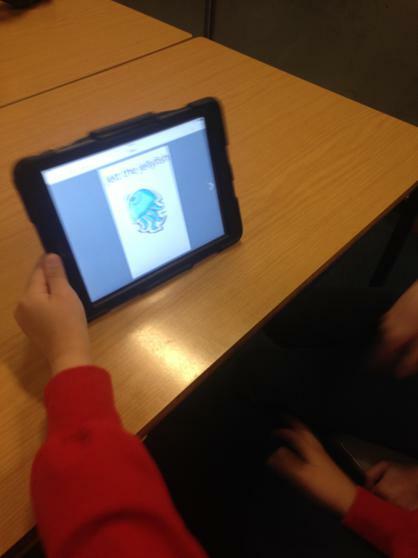 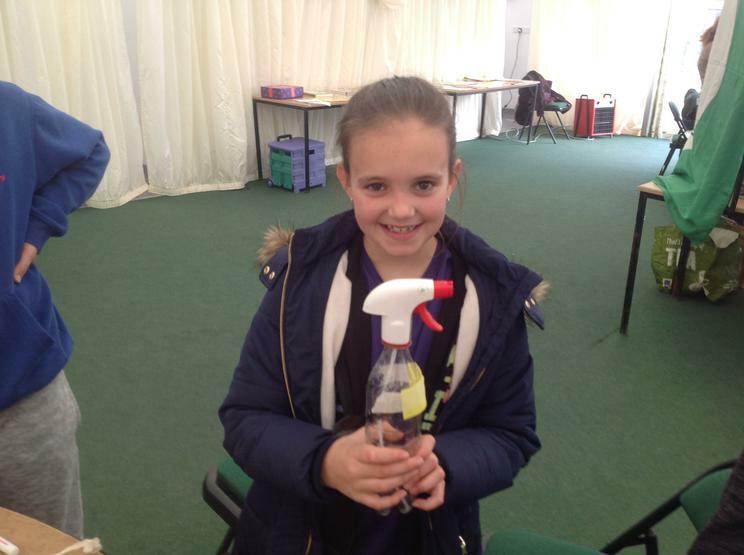 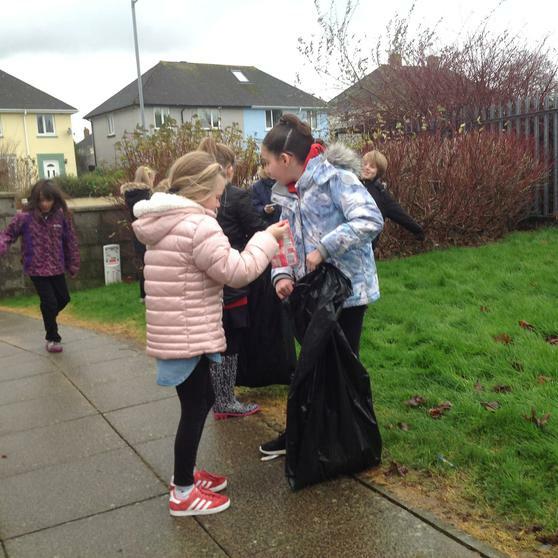 Throughout the year the Eco Committee will be working towards achieving many awards. 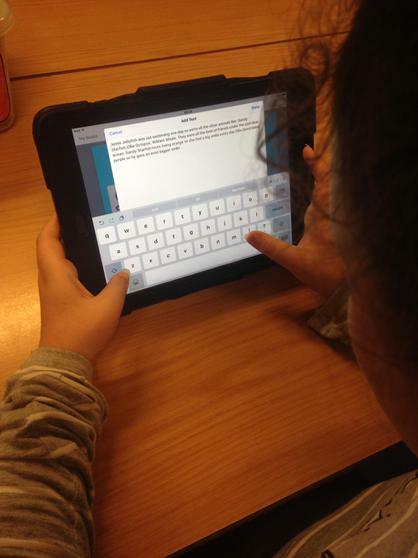 We will ensure that we update the website with our achievements! 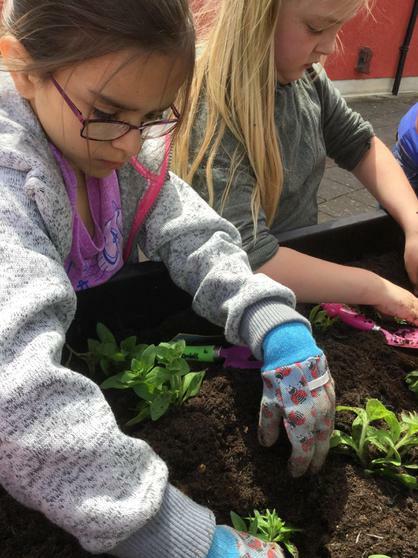 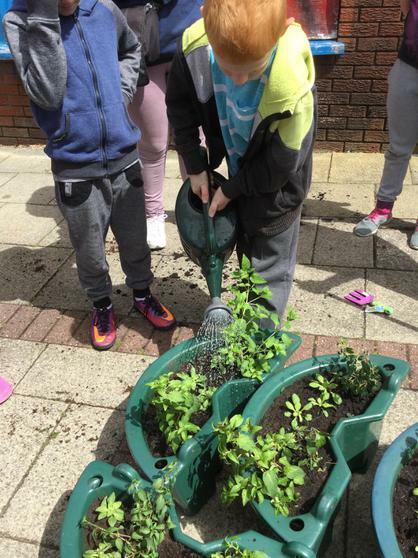 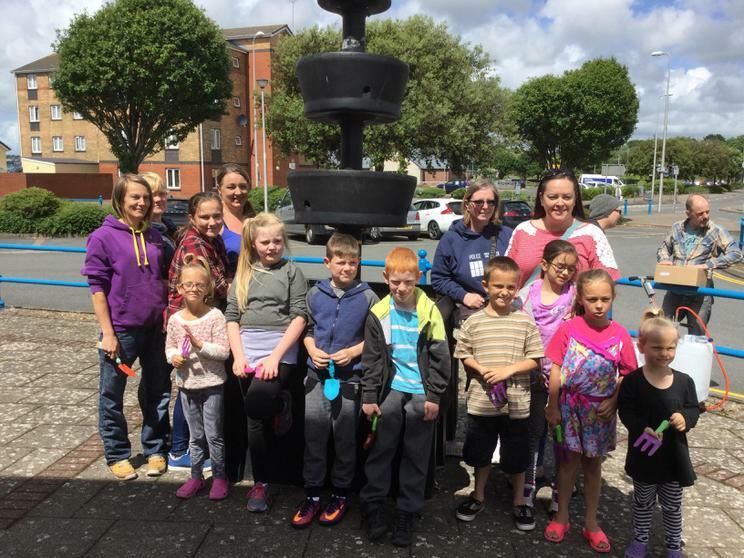 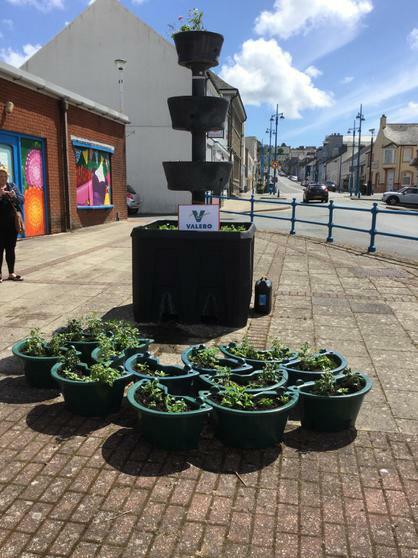 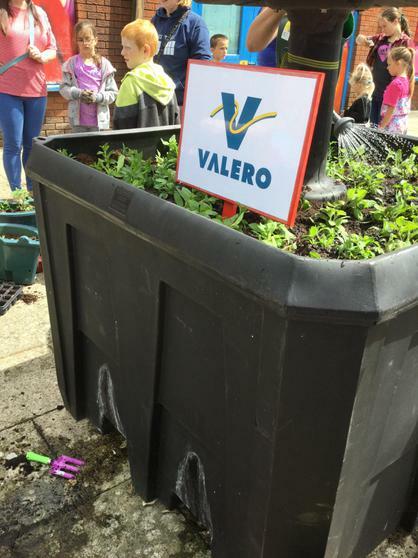 Gardening club were asked by the Pembroke Dock Rejuvenation Project to plant the planters in Pembroke Dock town centre. 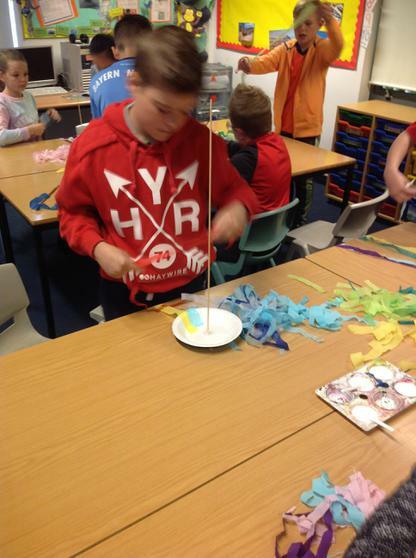 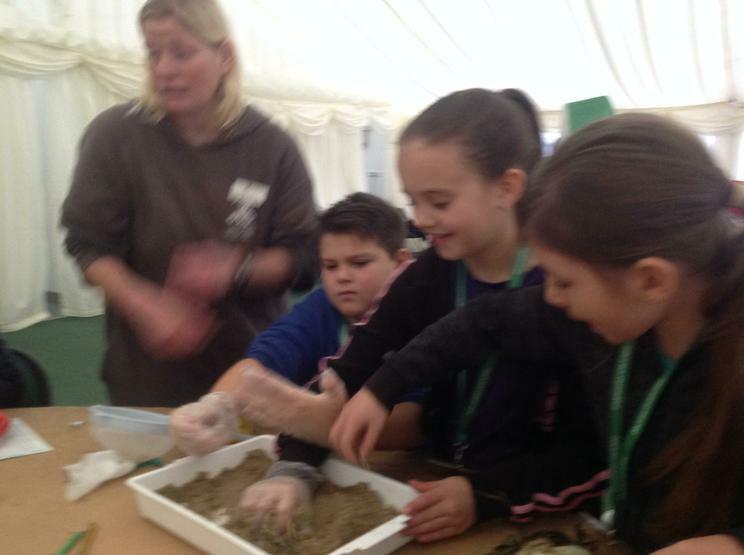 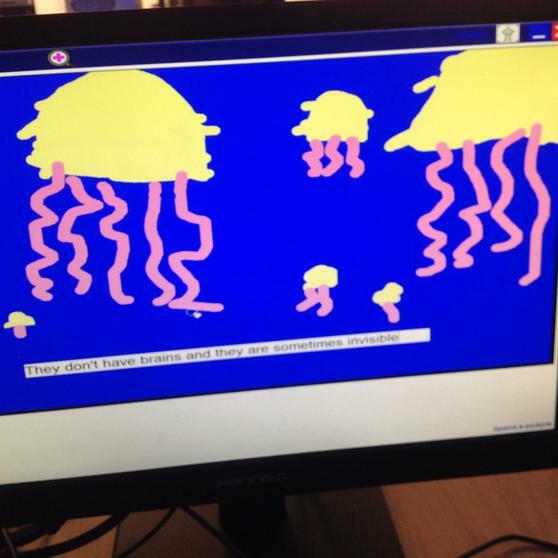 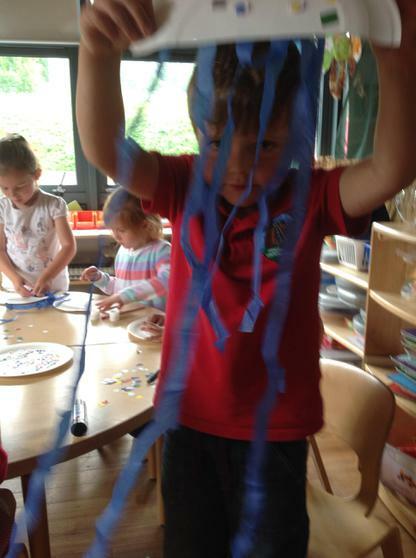 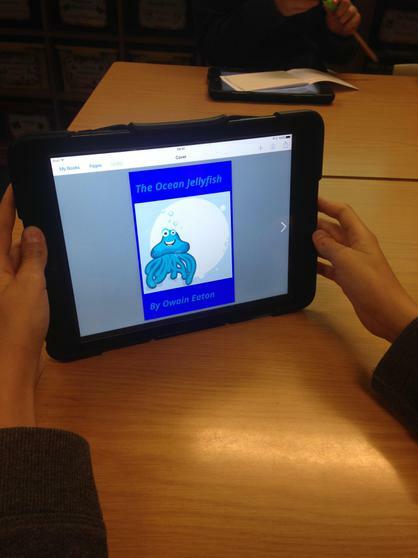 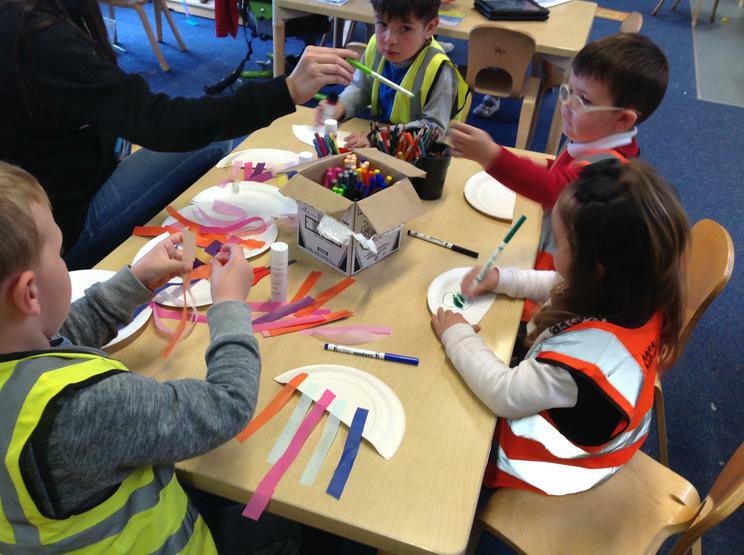 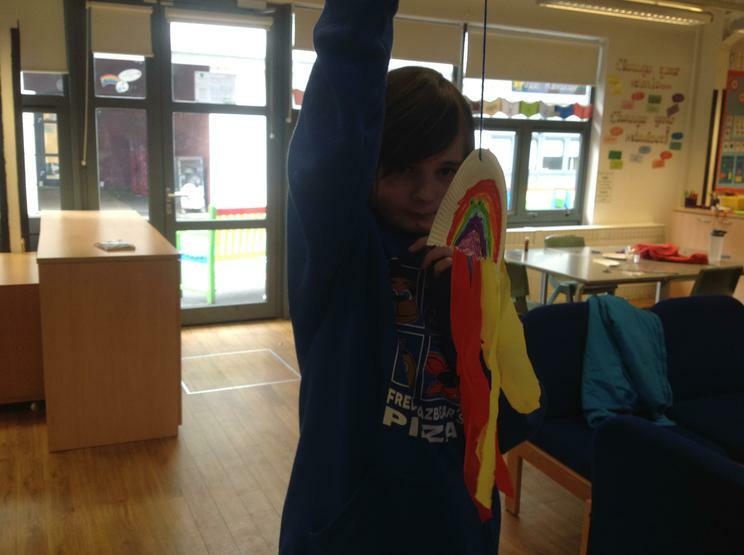 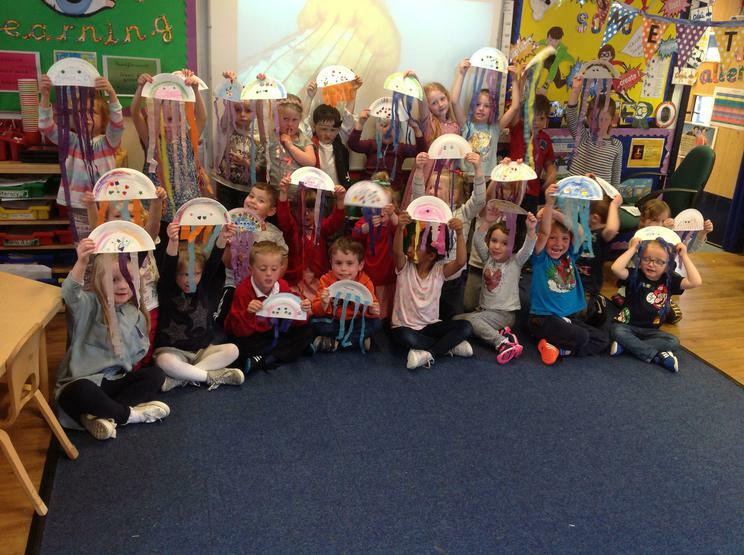 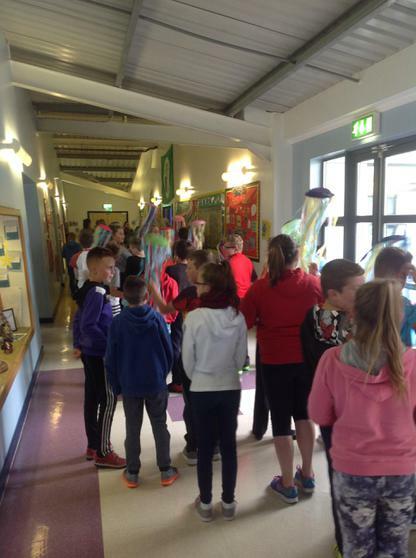 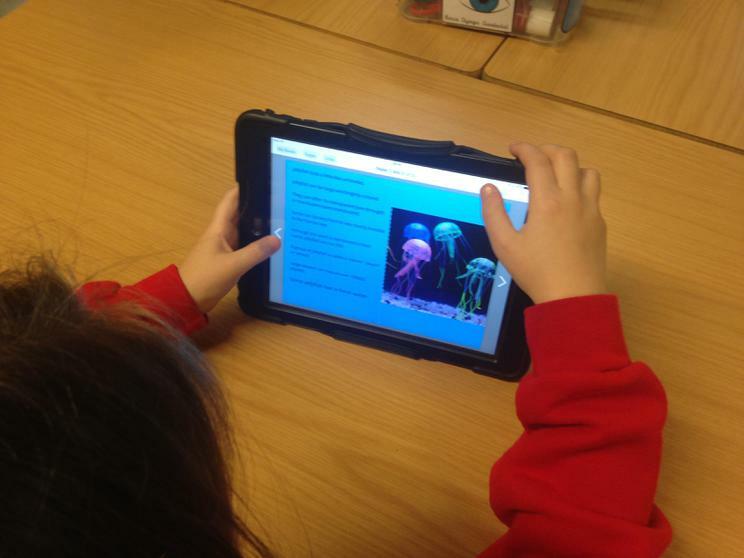 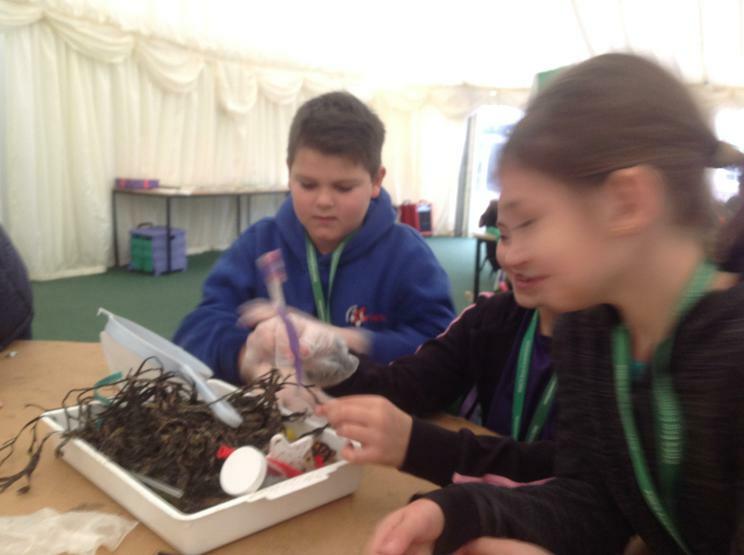 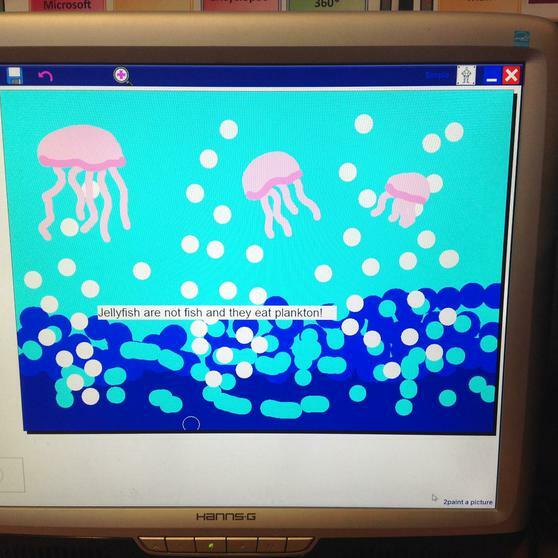 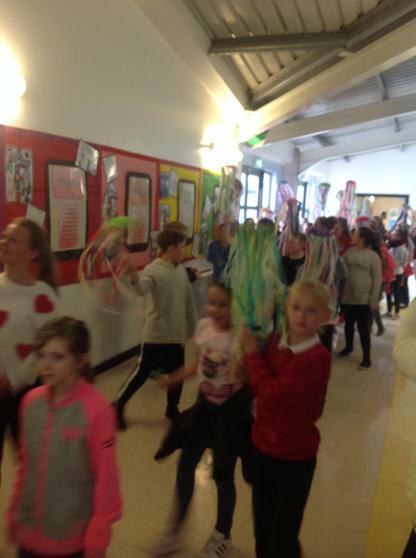 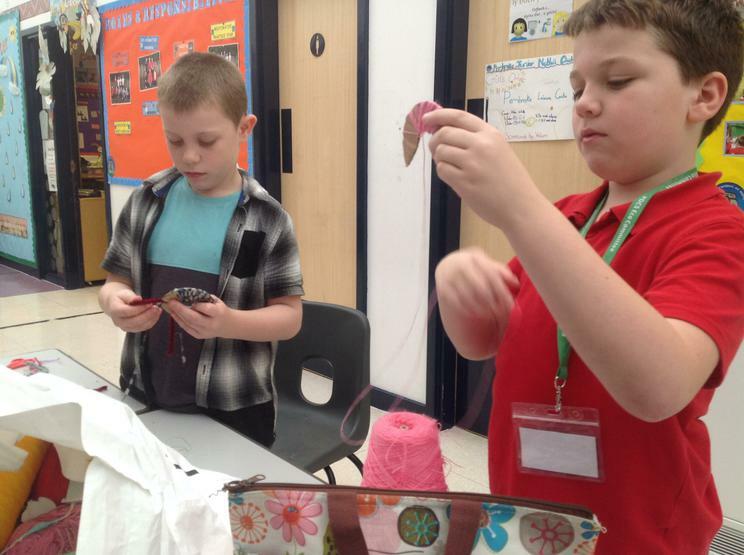 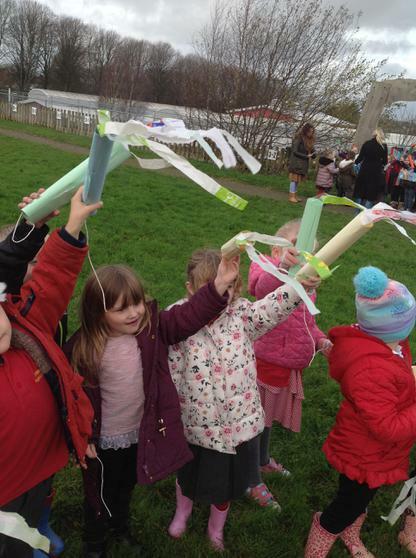 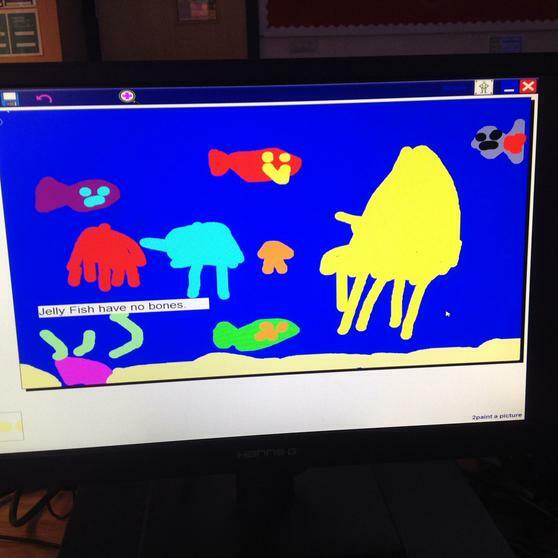 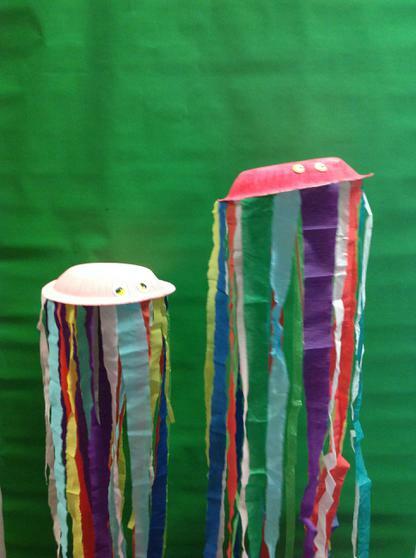 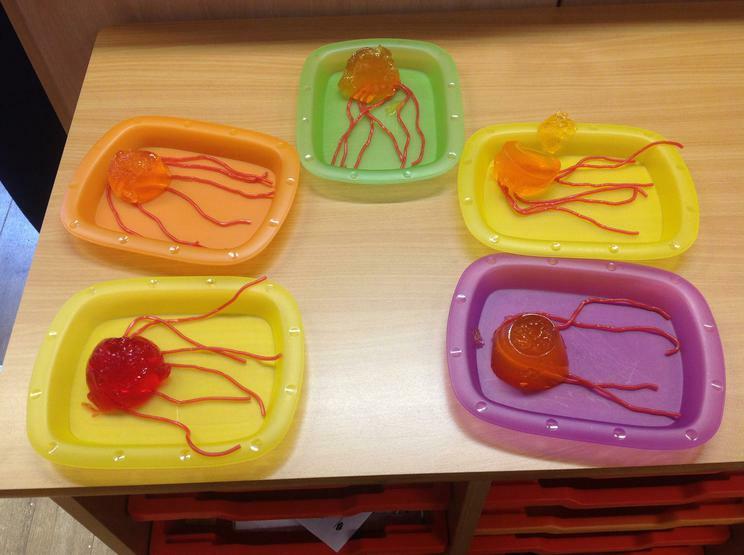 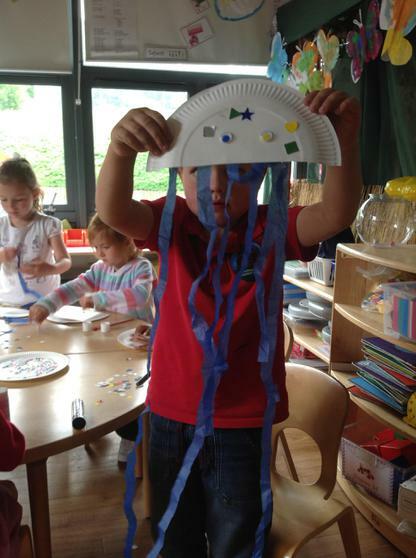 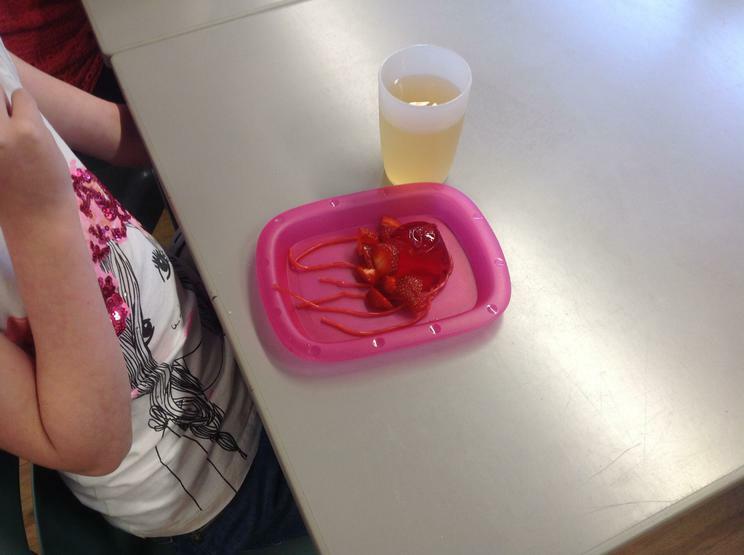 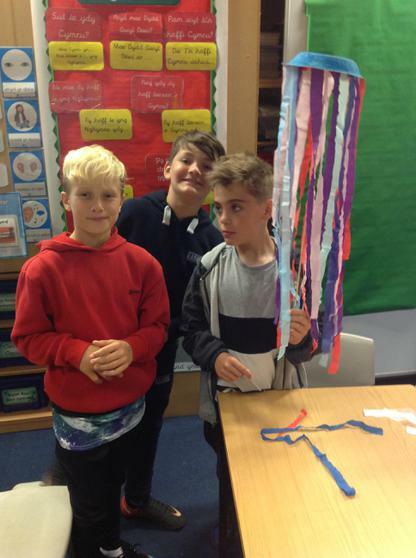 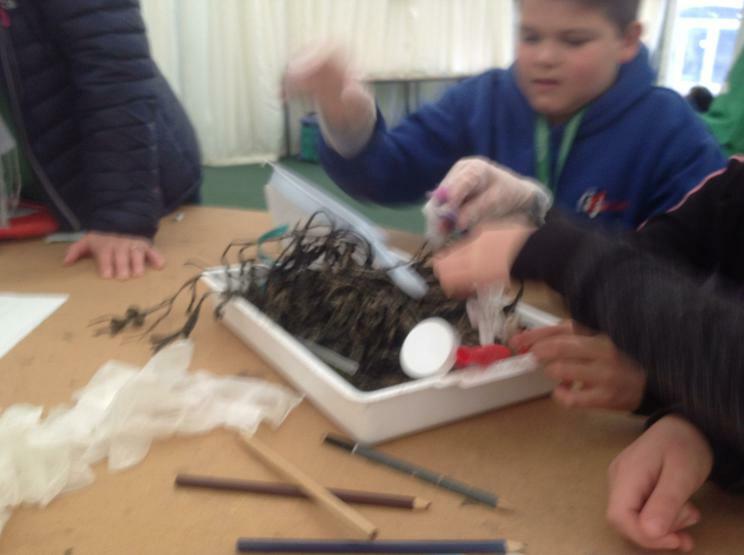 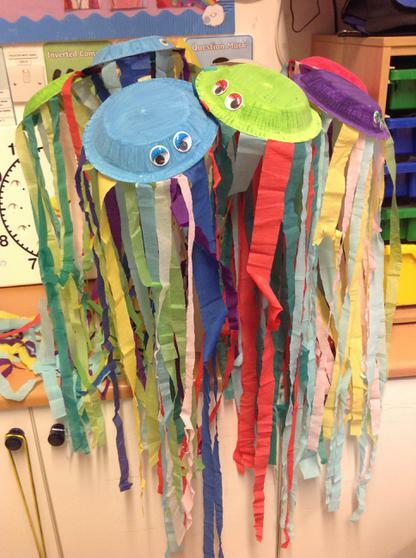 The whole school took part in the Sustainable Schools 'Jellyfish Day' this week. 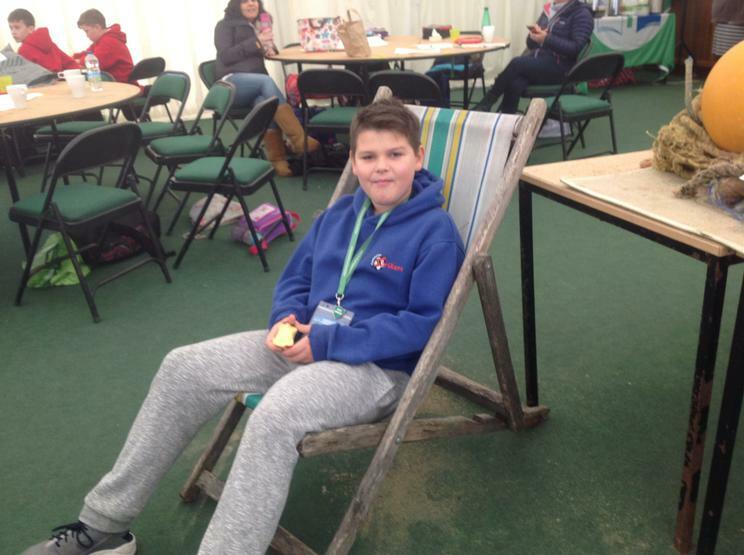 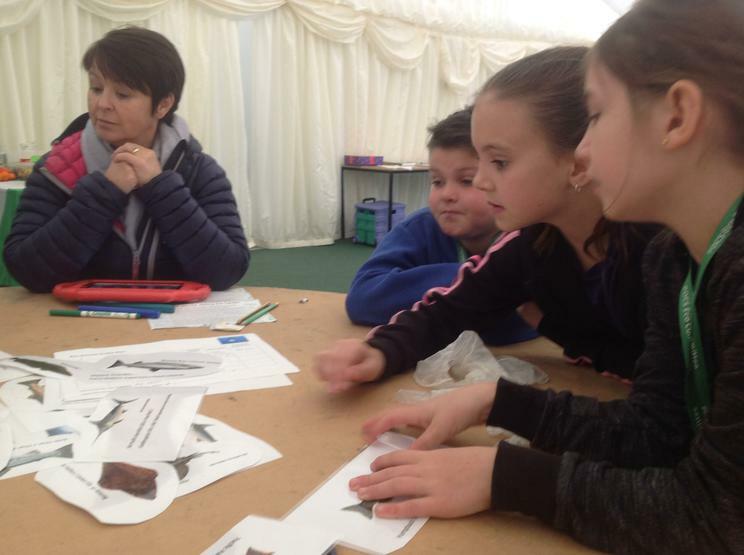 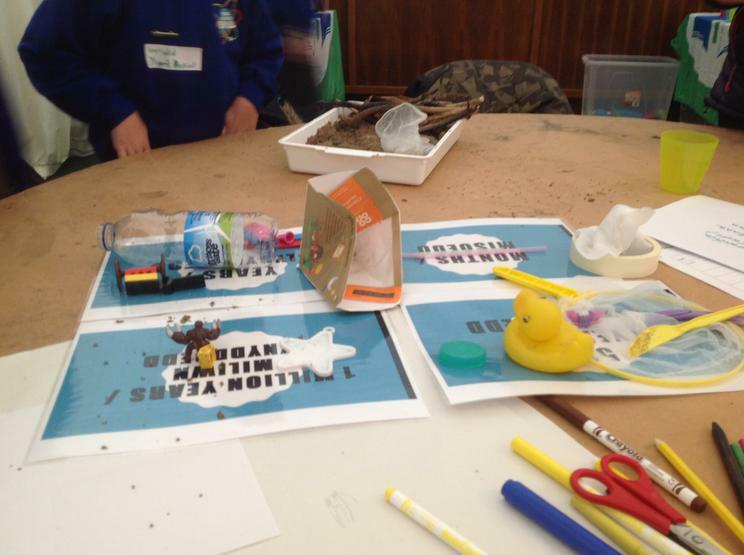 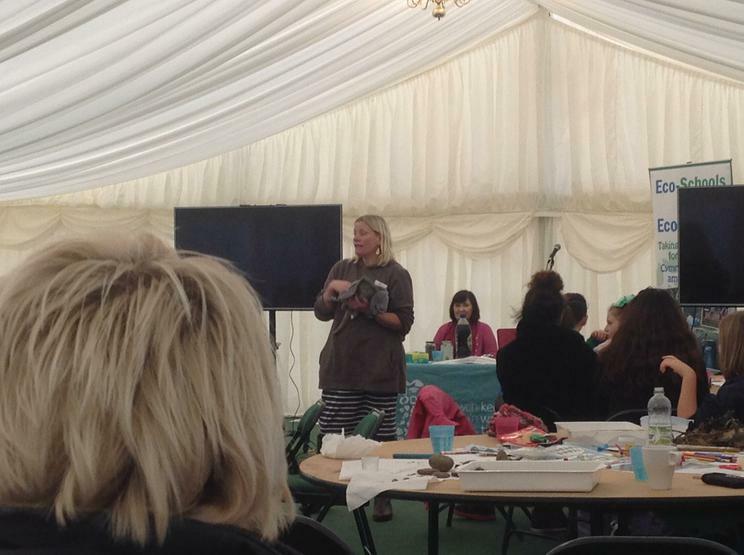 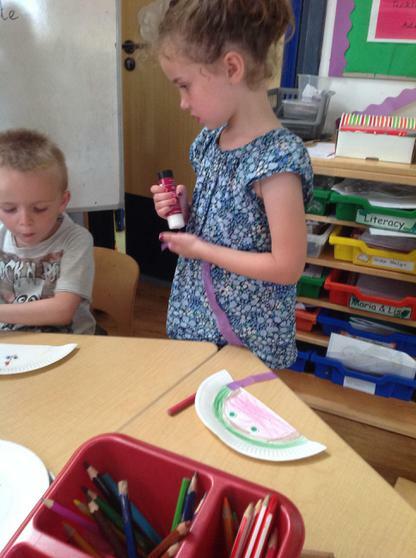 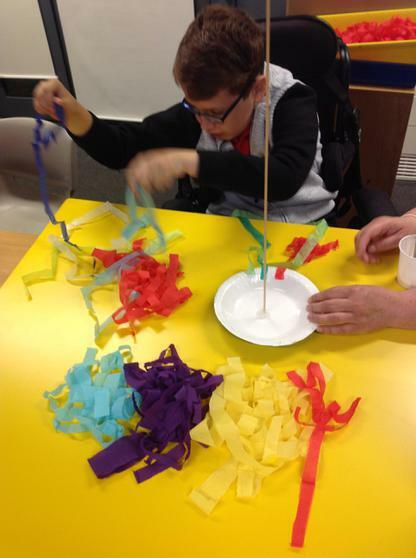 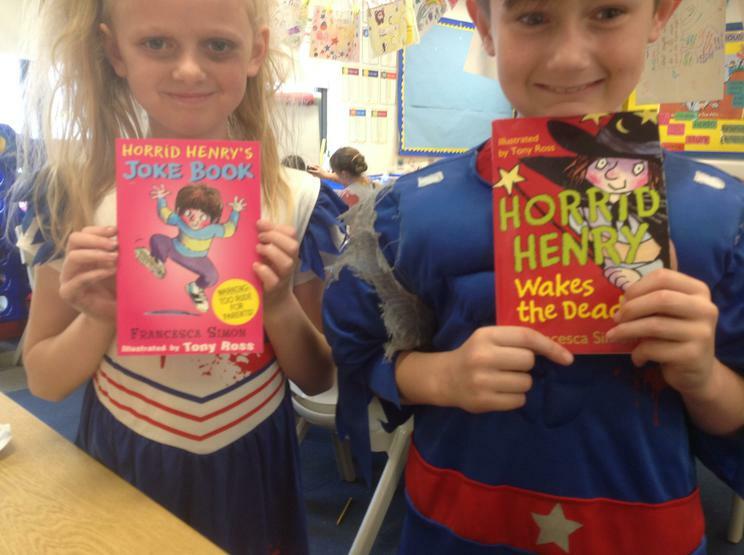 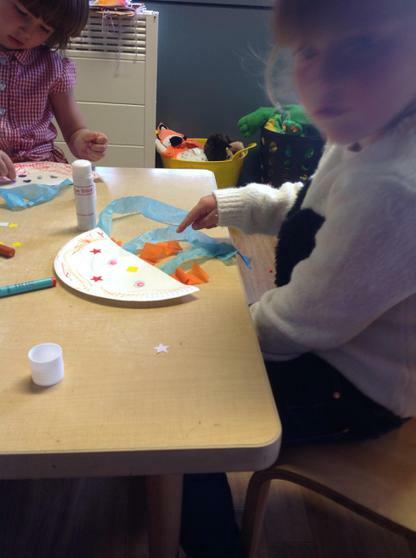 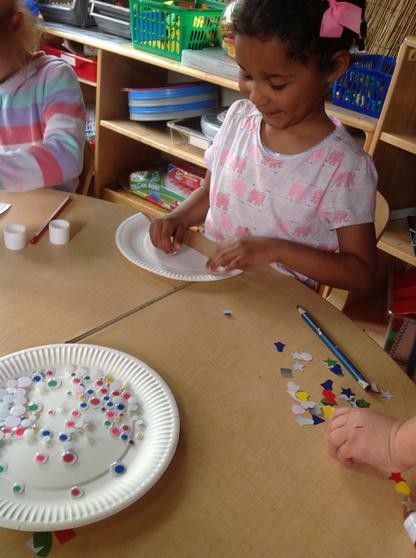 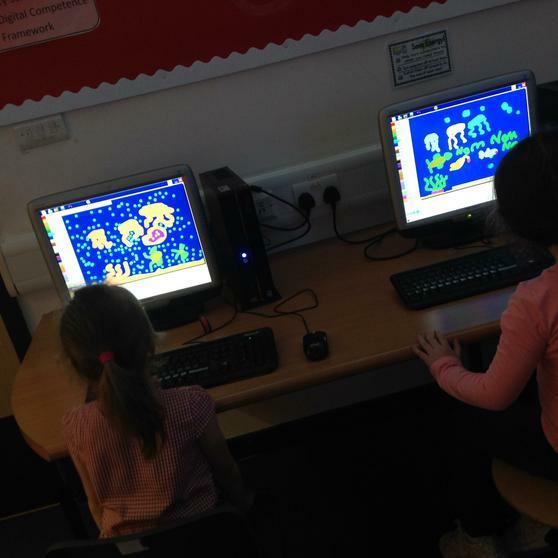 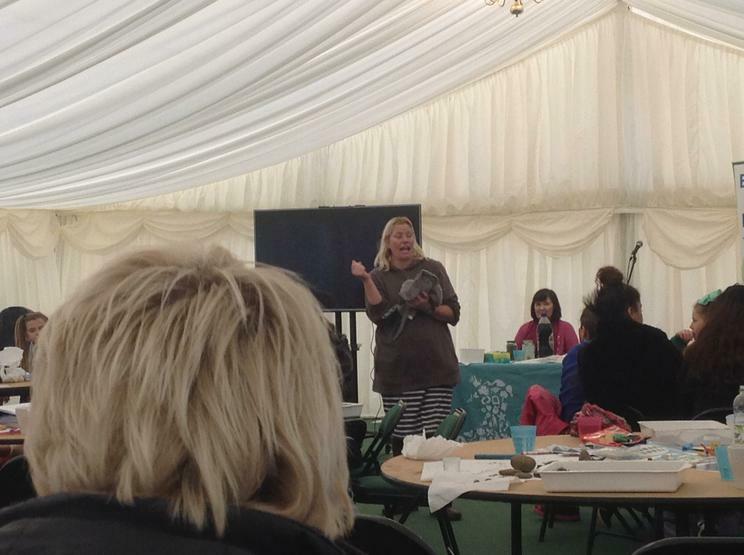 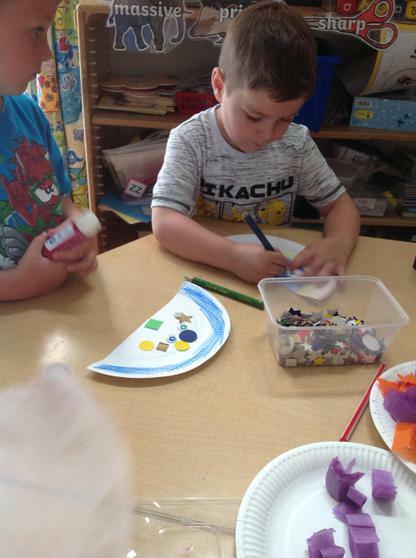 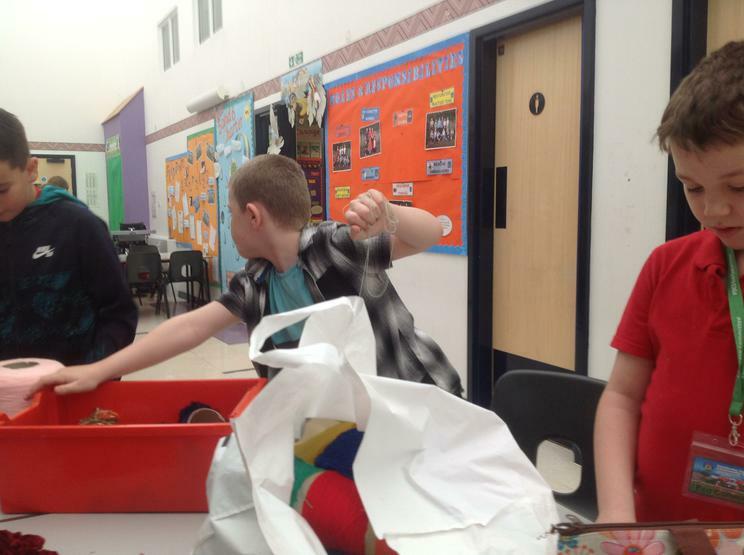 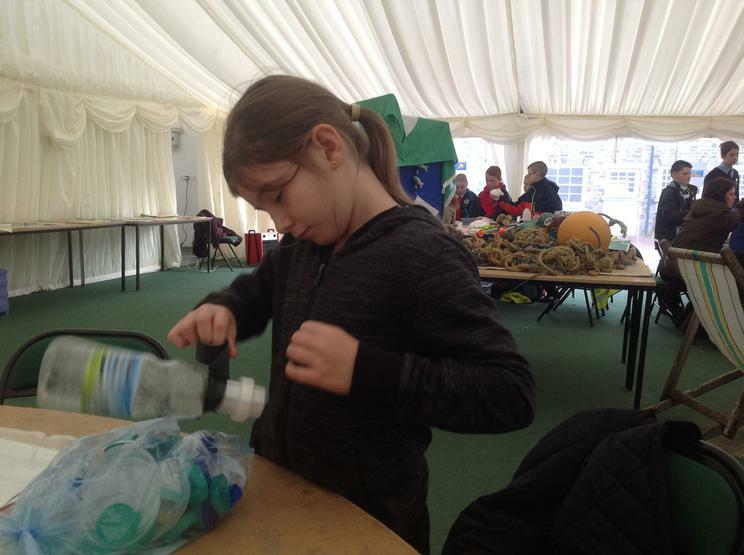 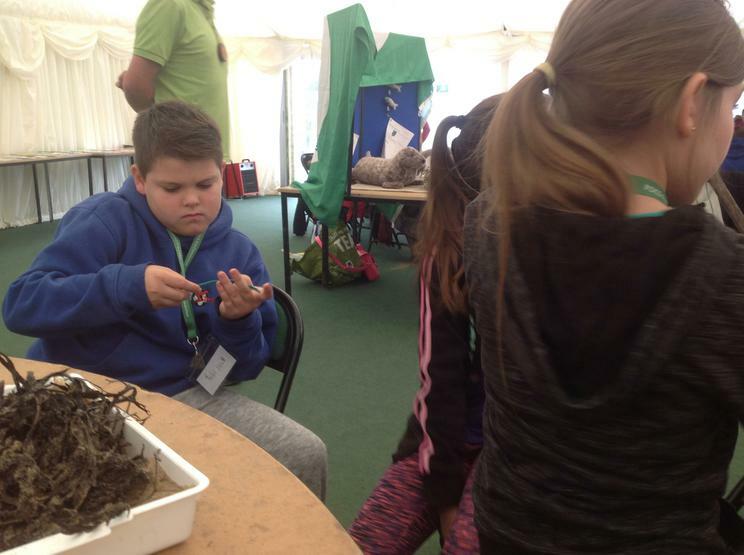 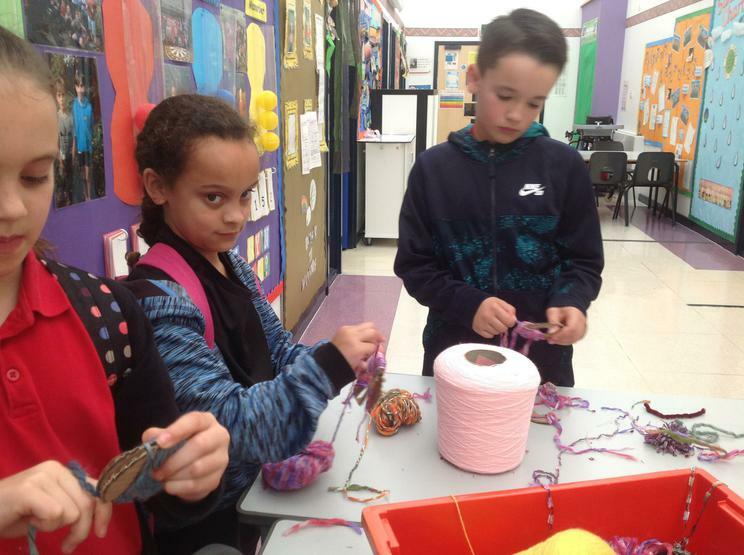 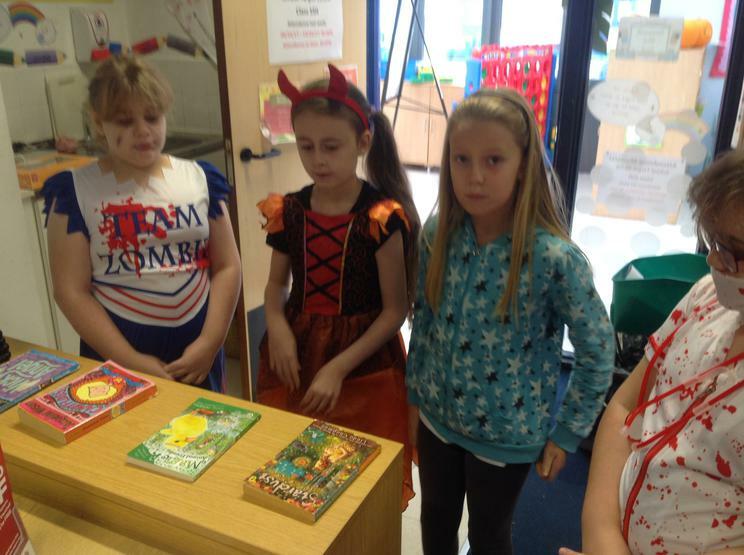 Take a look at a selection of the activities we had going on. 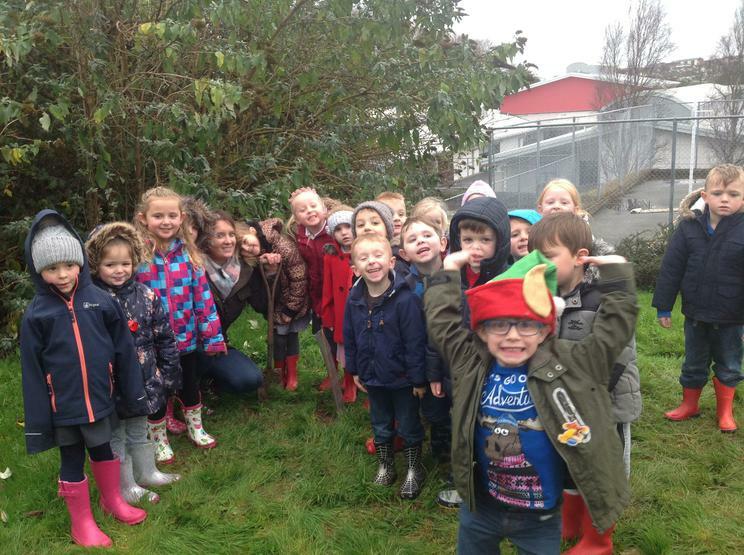 We have achieved our 2nd Acorn award this term. 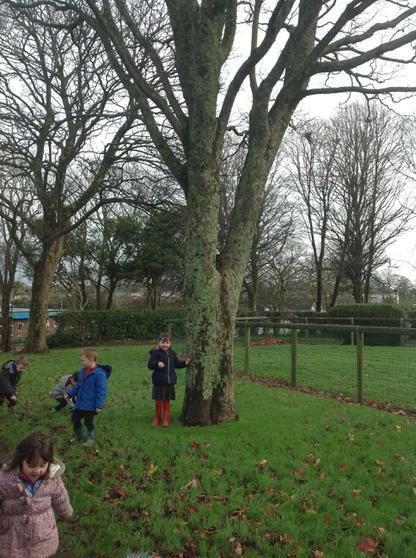 We are pleased to announce that we have achieved our Green Tree Bronze Award. 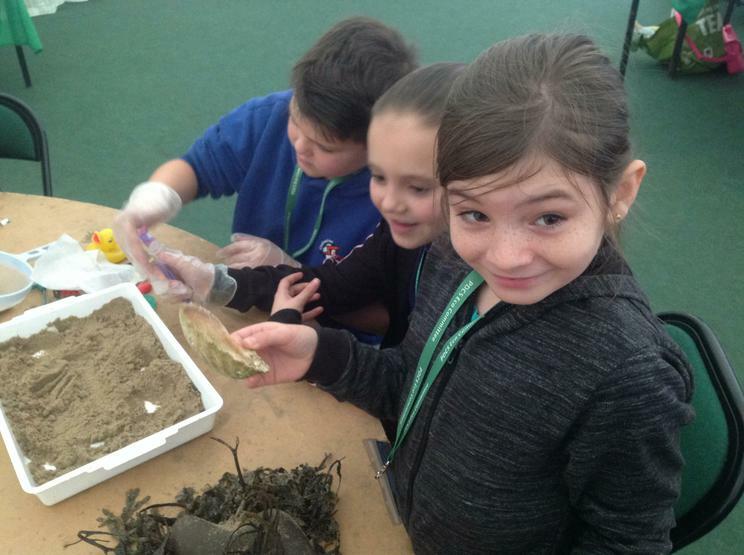 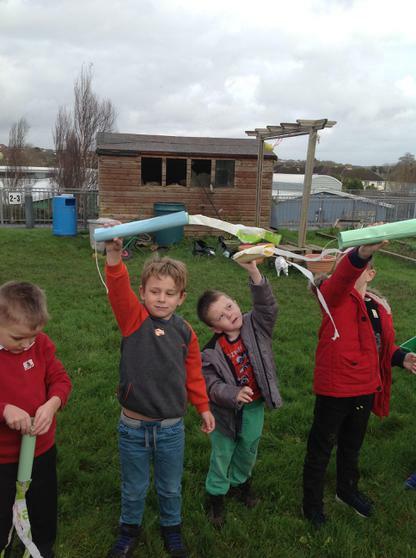 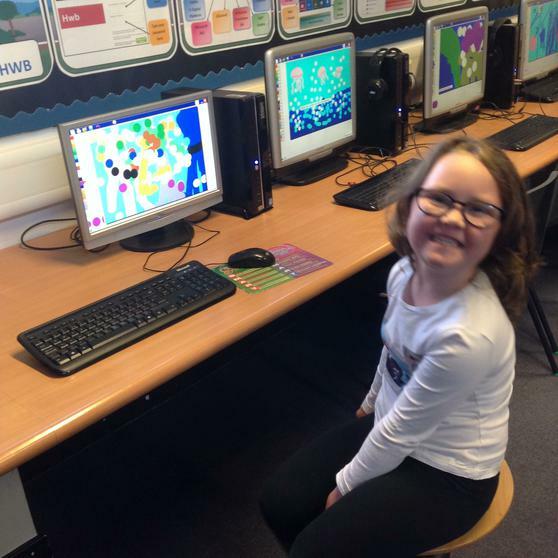 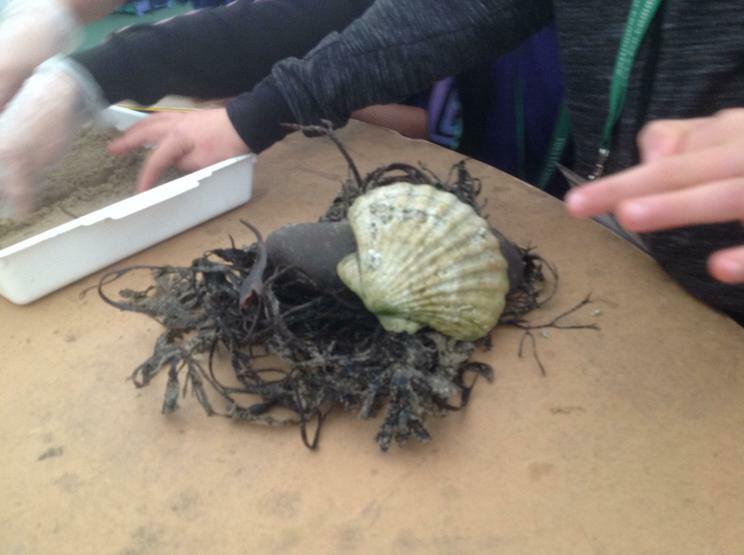 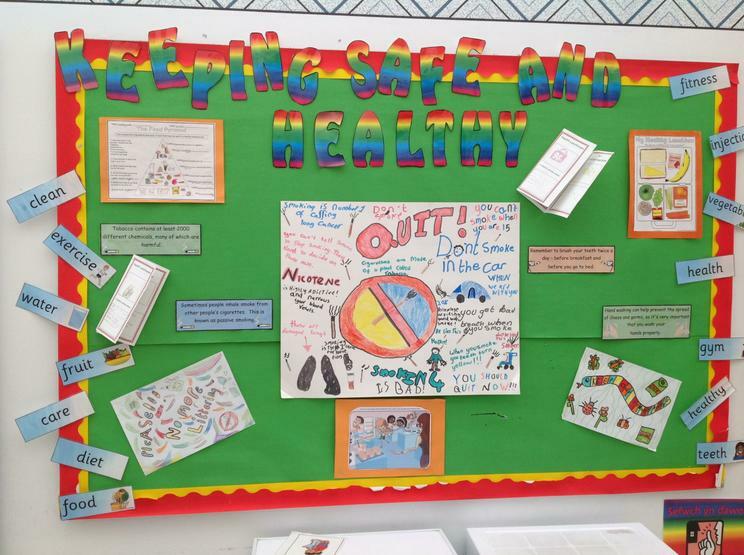 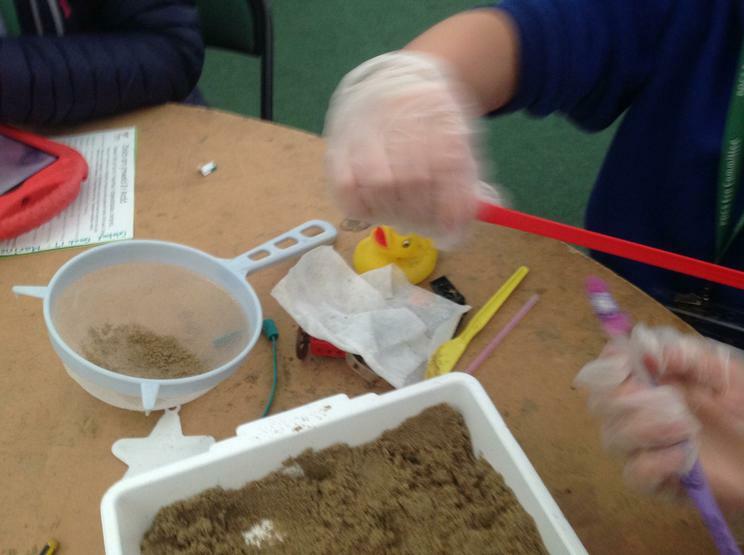 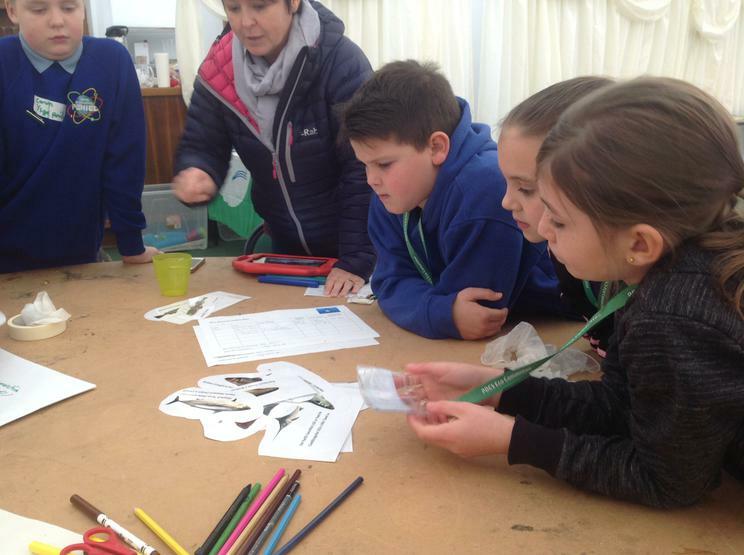 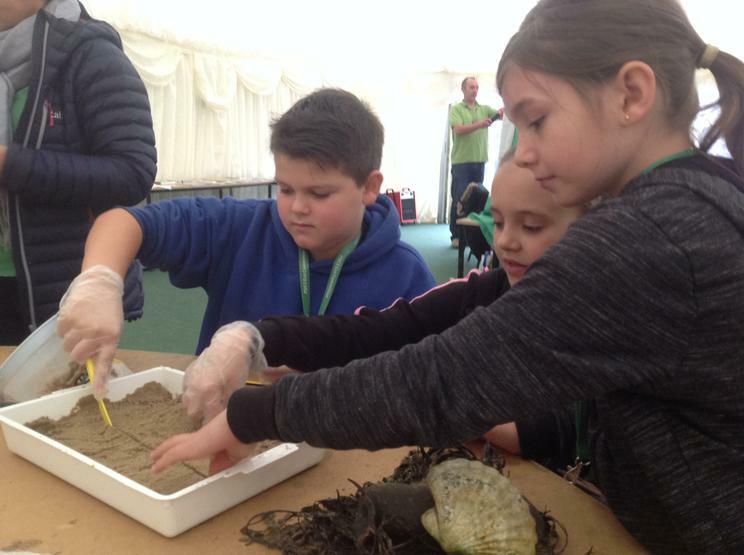 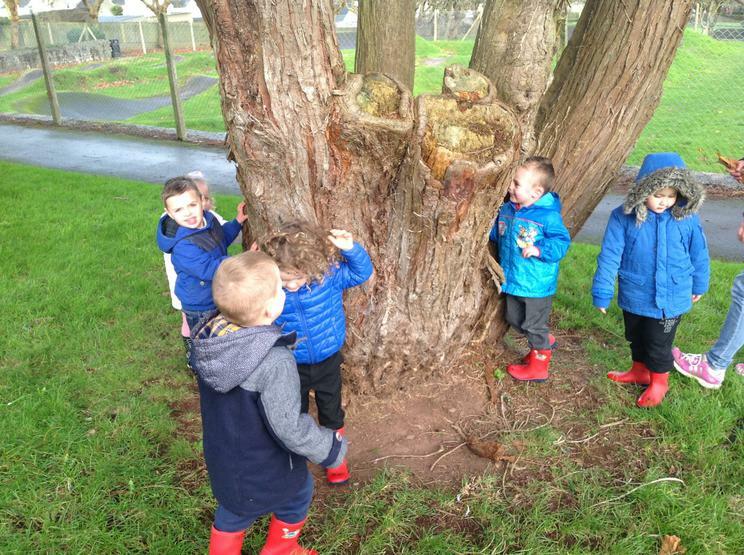 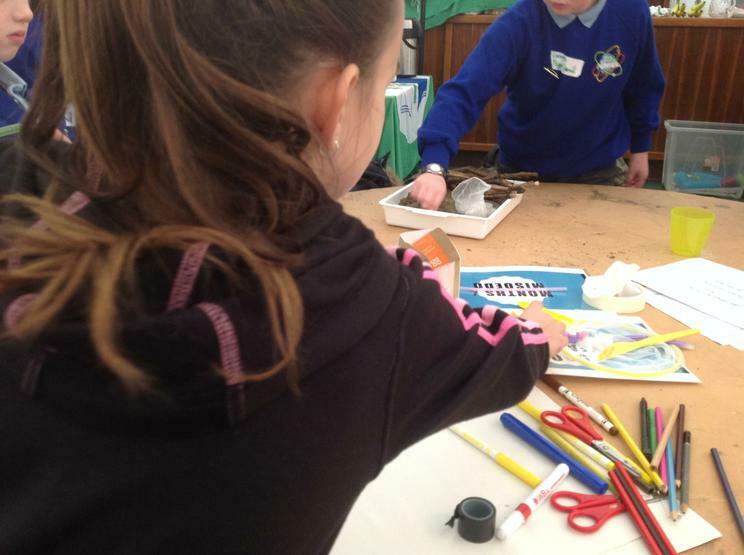 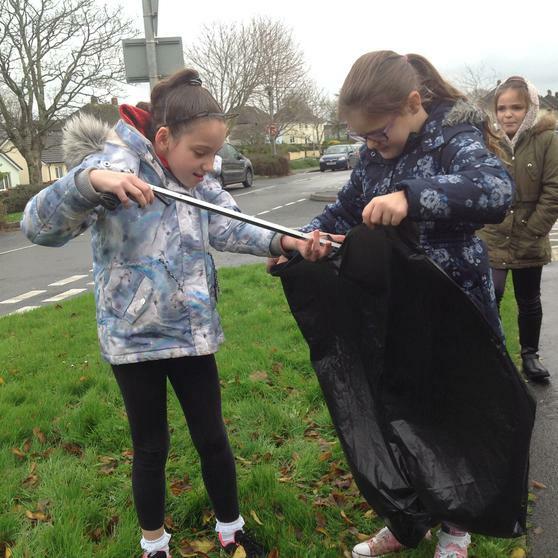 Pembroke Dock Community School prides itself for being an Eco School and holds a platinum award for ‘Eco Schools’ and a gold award for ‘Sustainable Schools’. 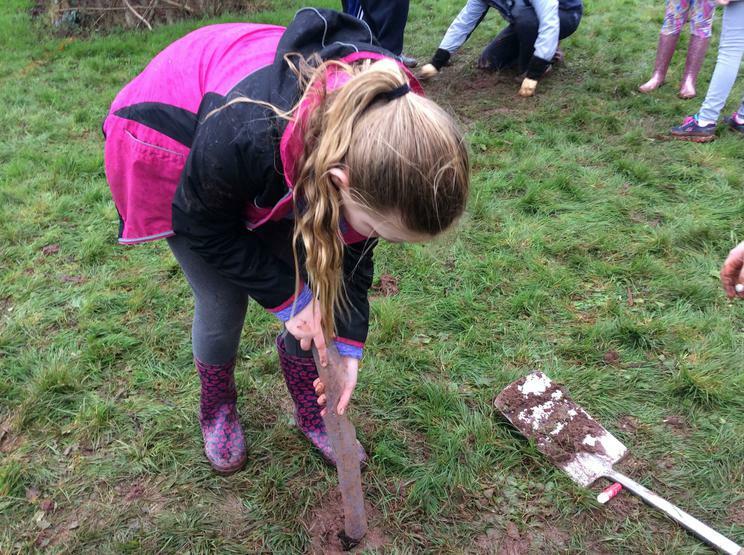 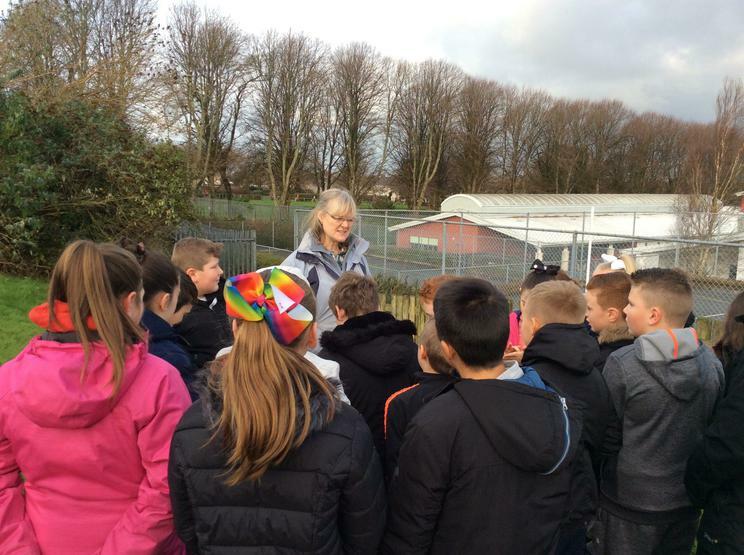 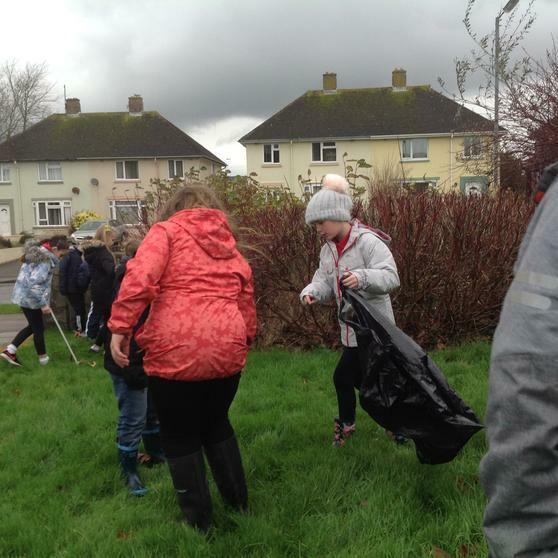 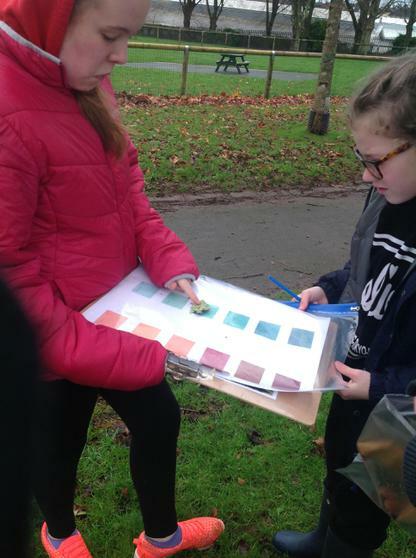 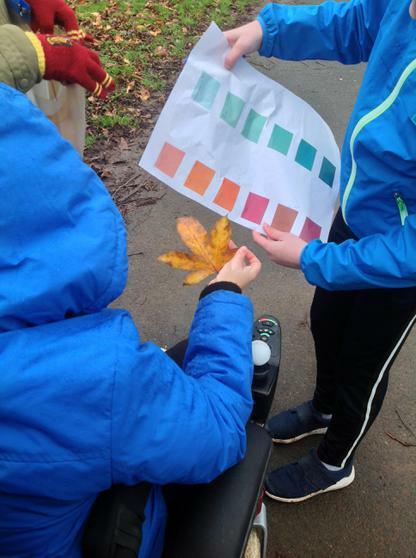 Each year we aim to make a difference to our environment through a range of activities and projects, both within the school and out in our local community. 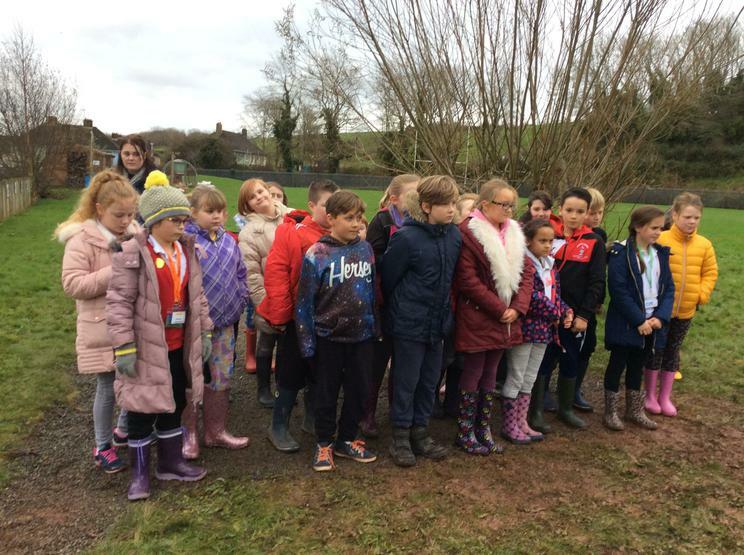 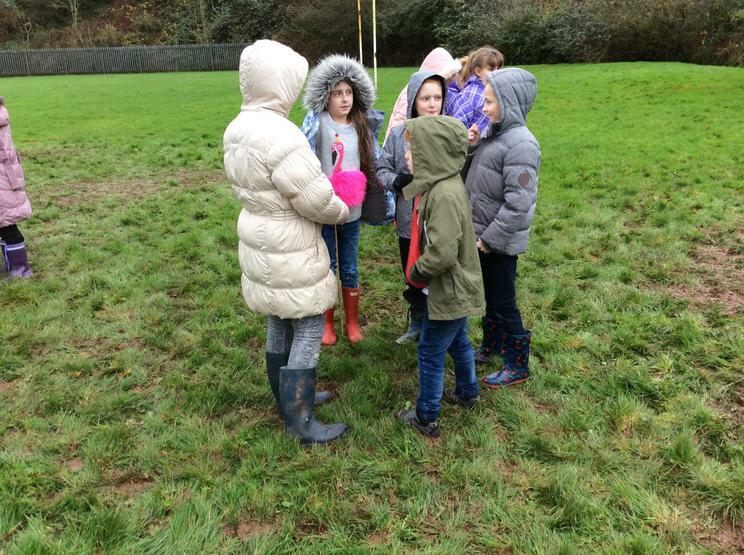 Our Eco Committee is made up from a representative from each class throughout the school and we meet regularly throughout the year to share ideas for projects that will improve and enhance our environment. 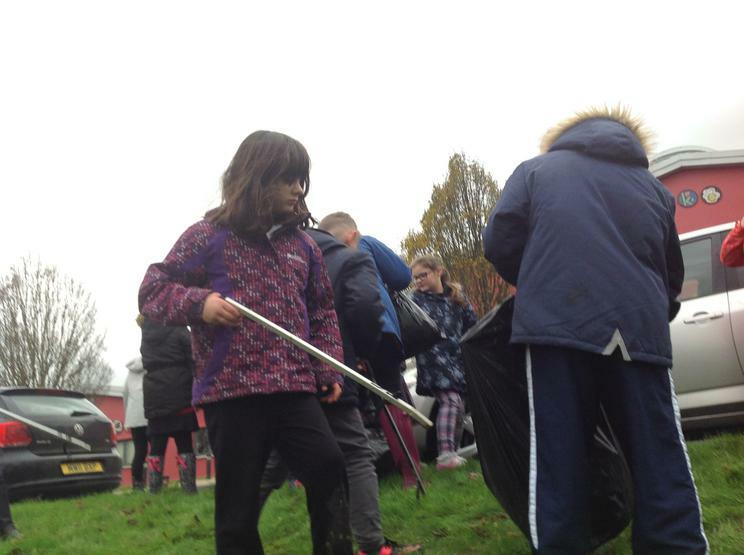 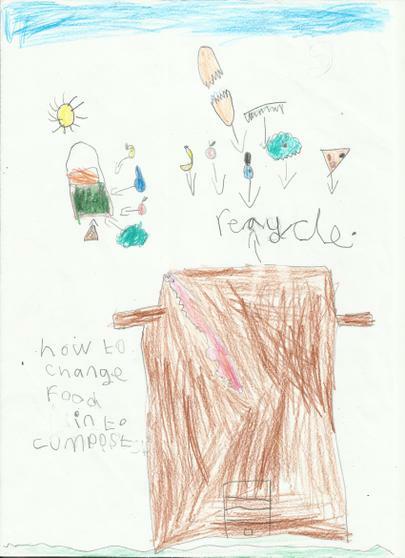 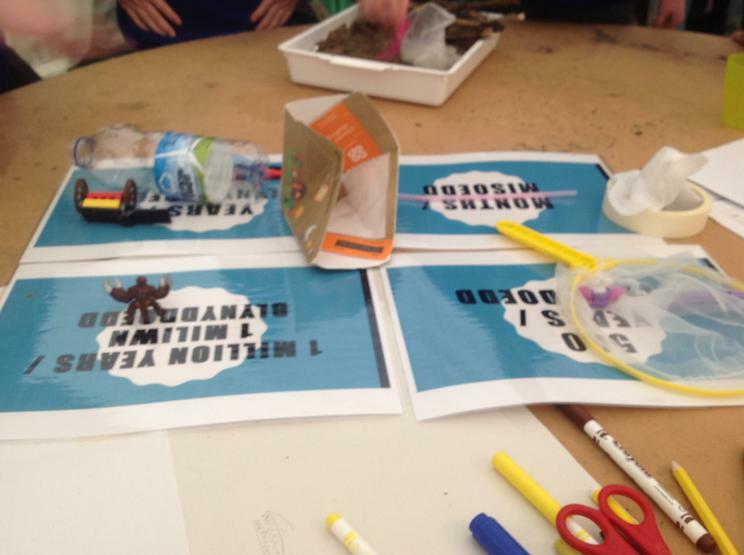 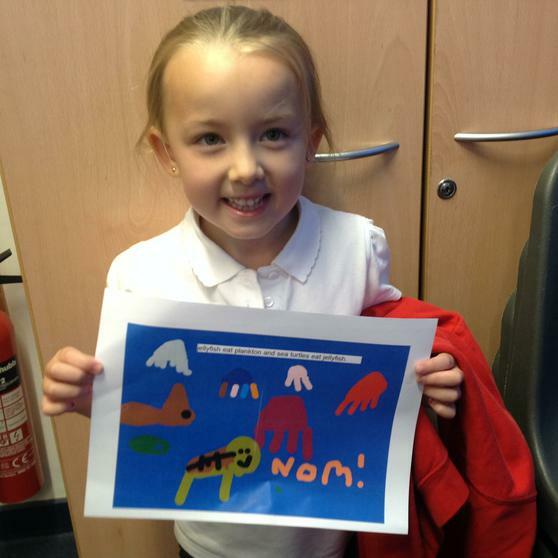 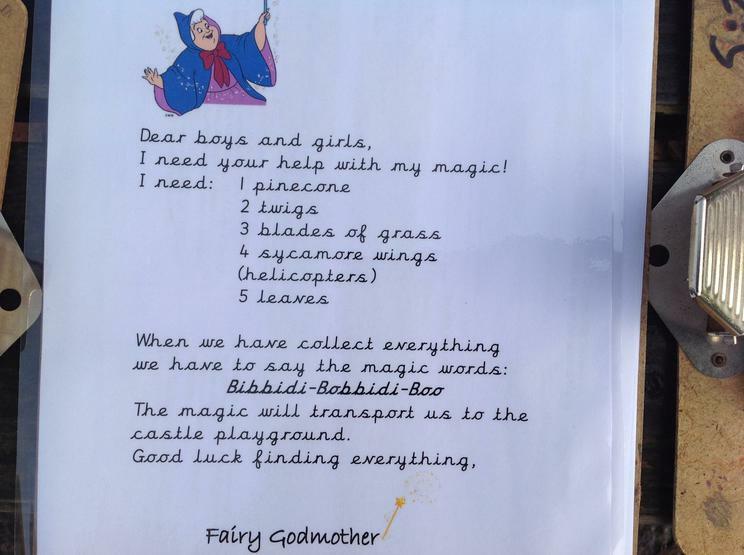 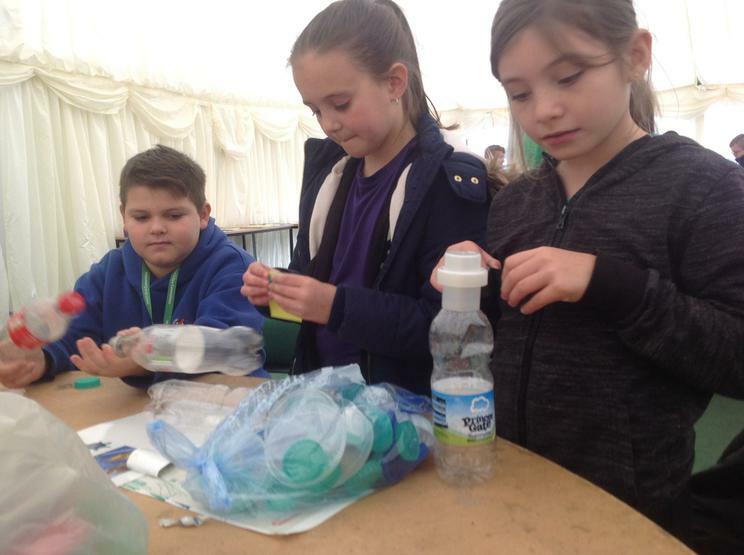 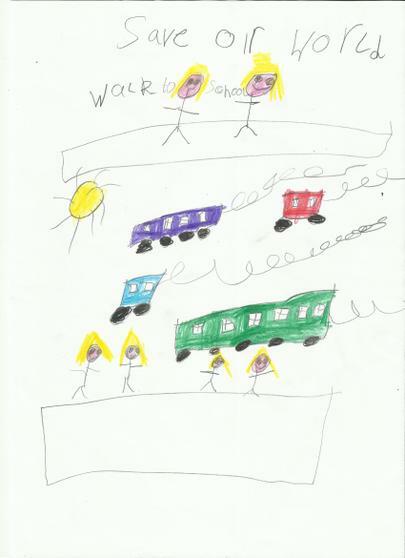 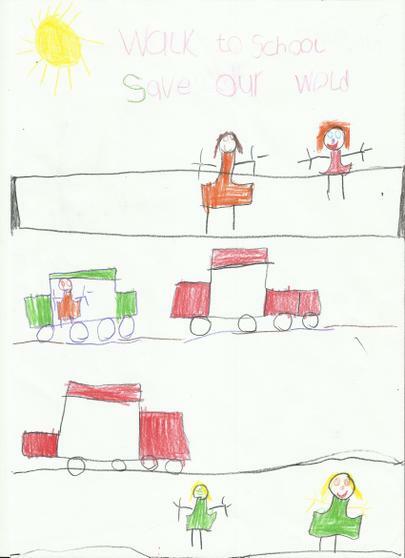 Being an Eco School means that we all work together to help minimise waste. 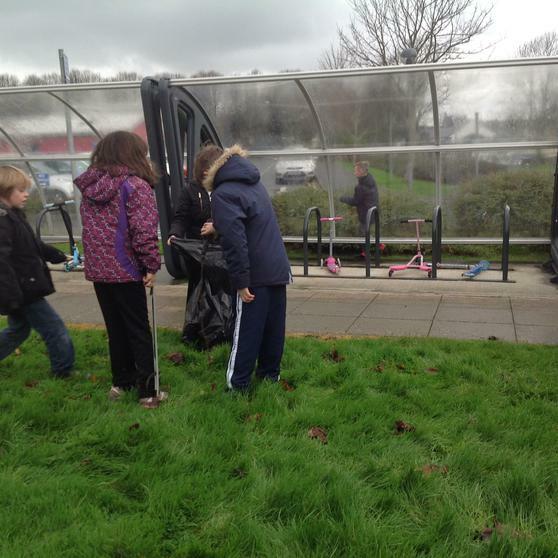 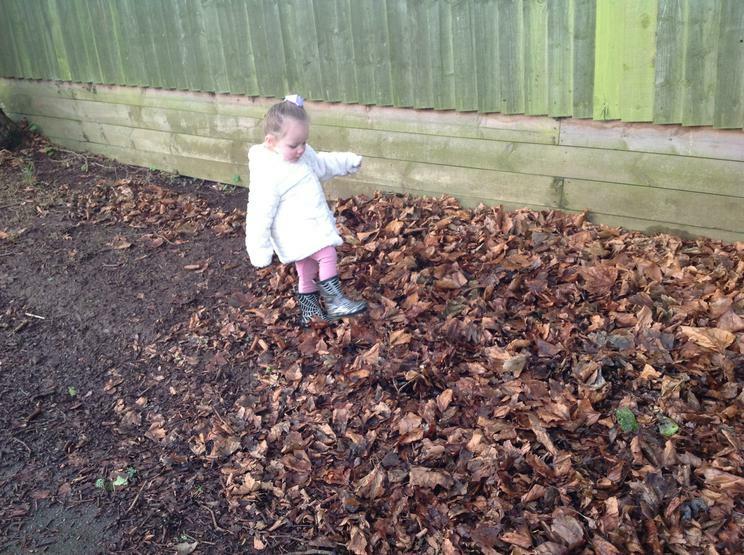 Each week different classes are responsible for one of the environmental jobs around the school. 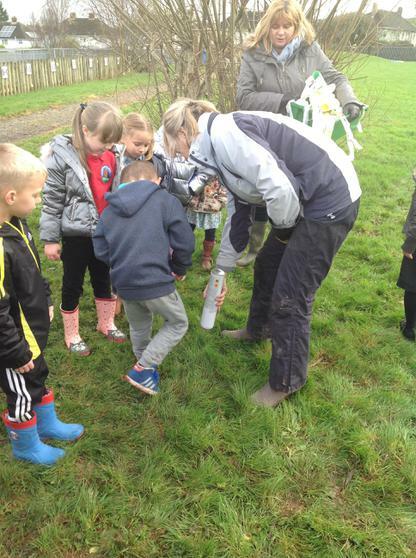 These jobs include paper recycling, milk bottle recycling, composting, litter picks and bird feeding. 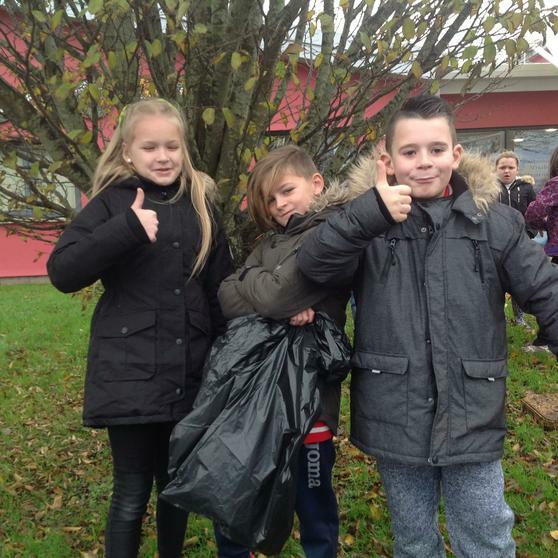 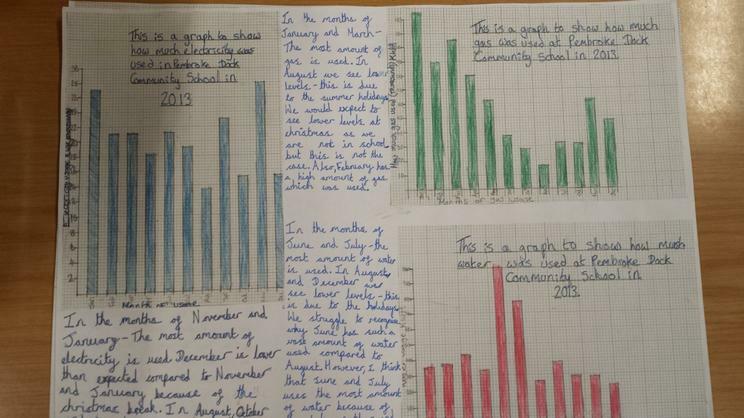 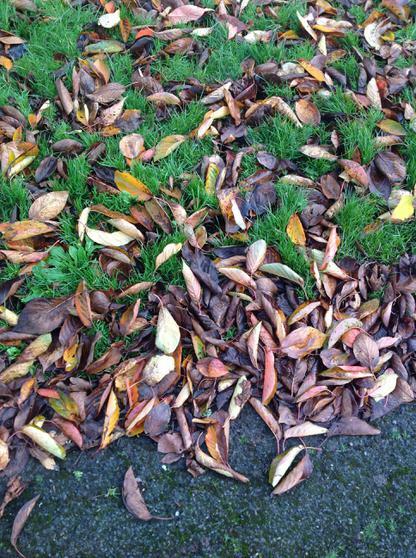 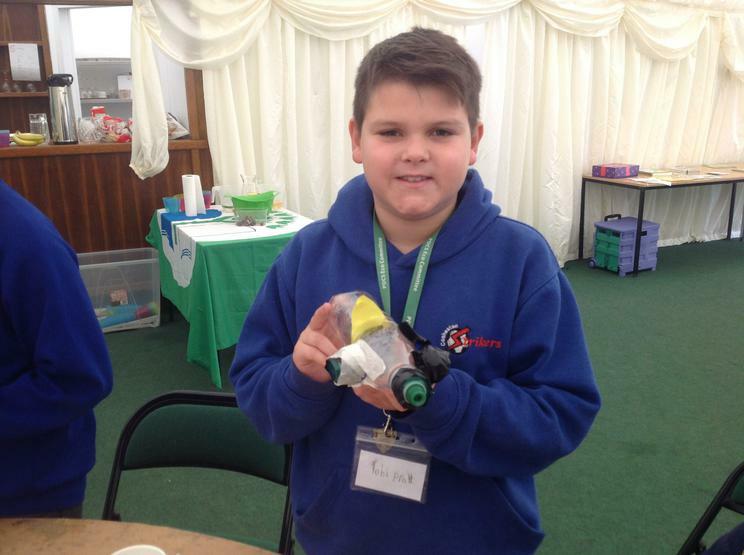 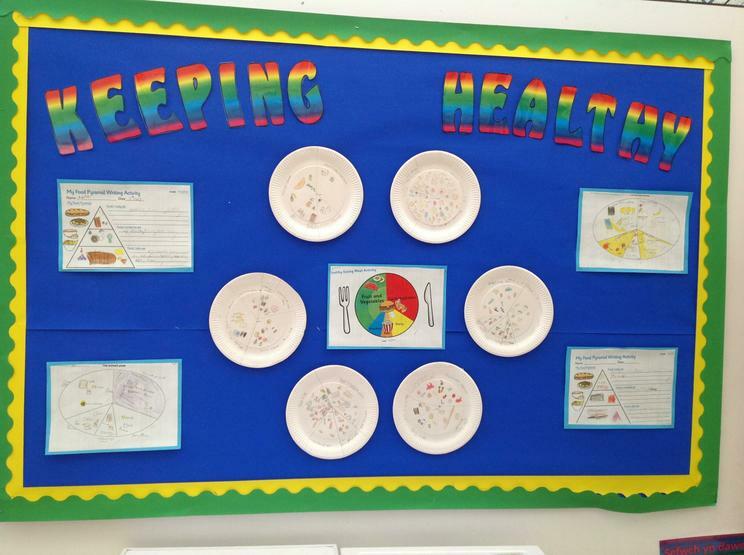 Take a look at some environmental work from across our school.